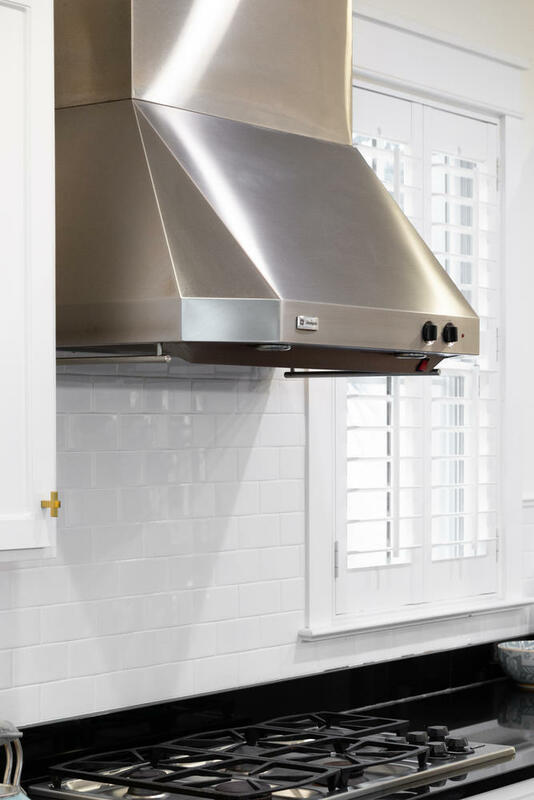 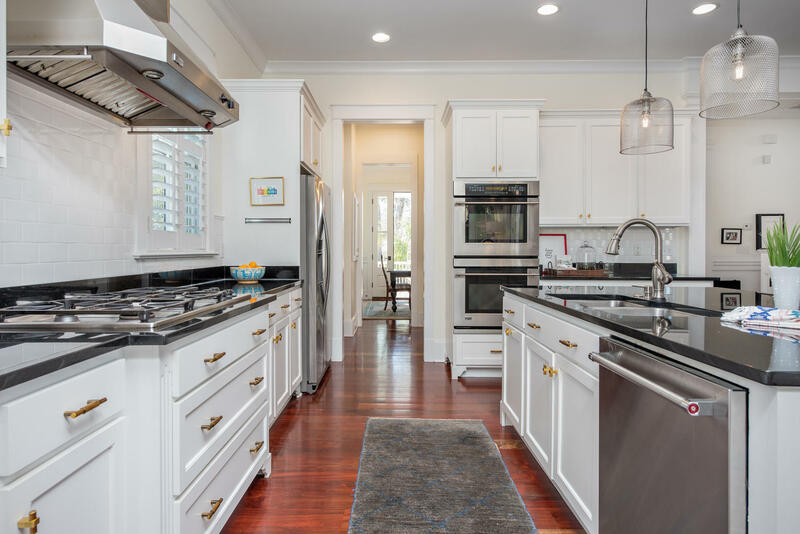 Double Ovens, Stainless Steel Appliances and Hood. 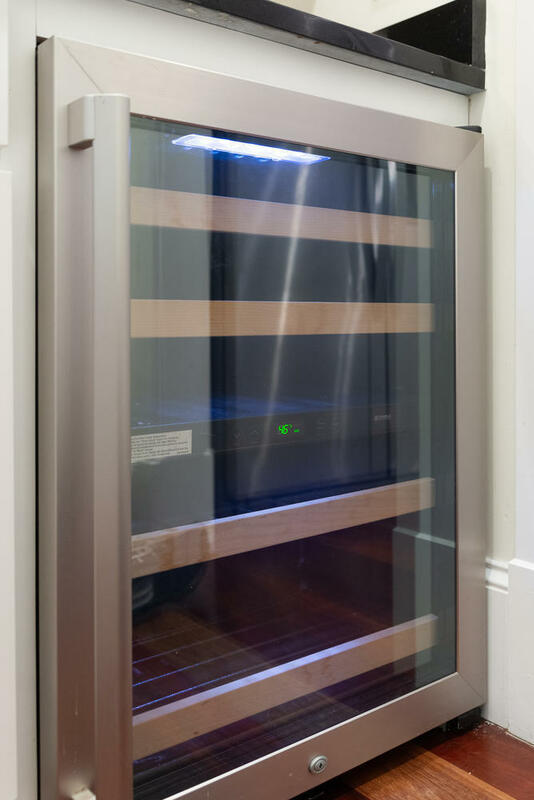 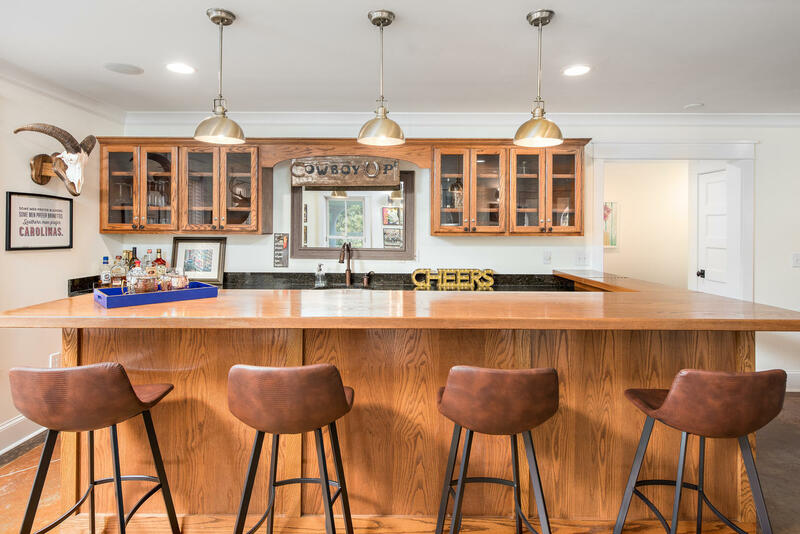 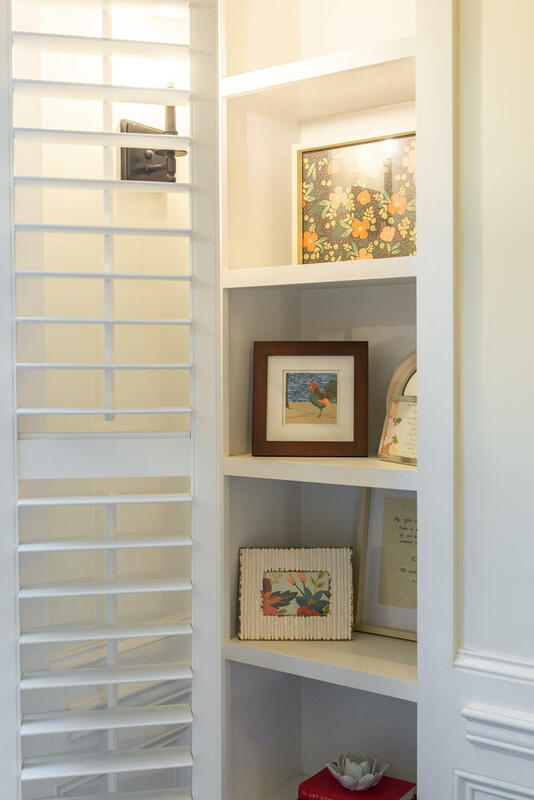 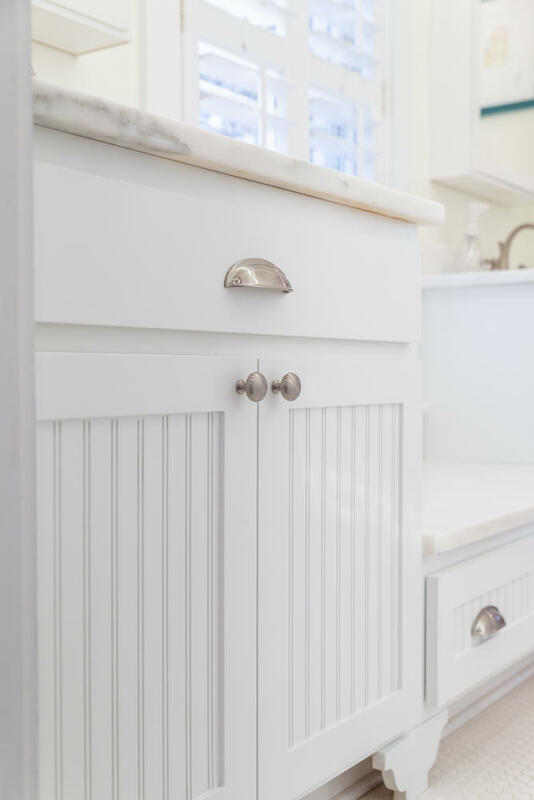 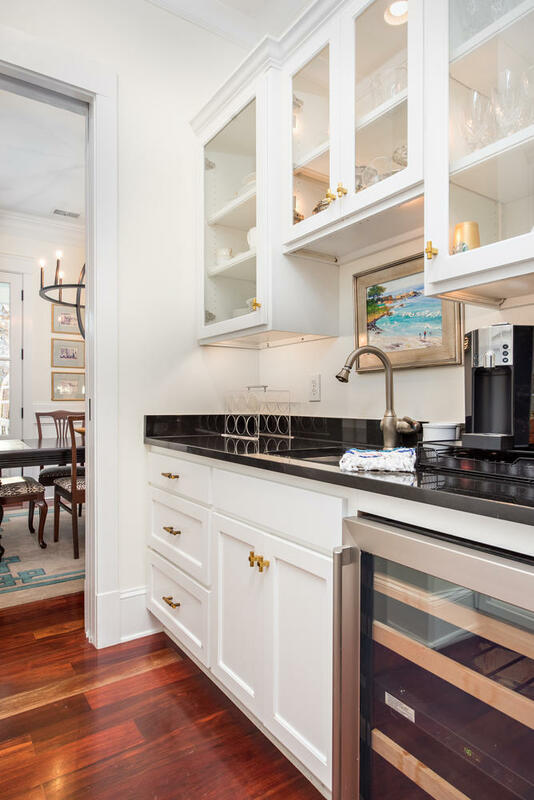 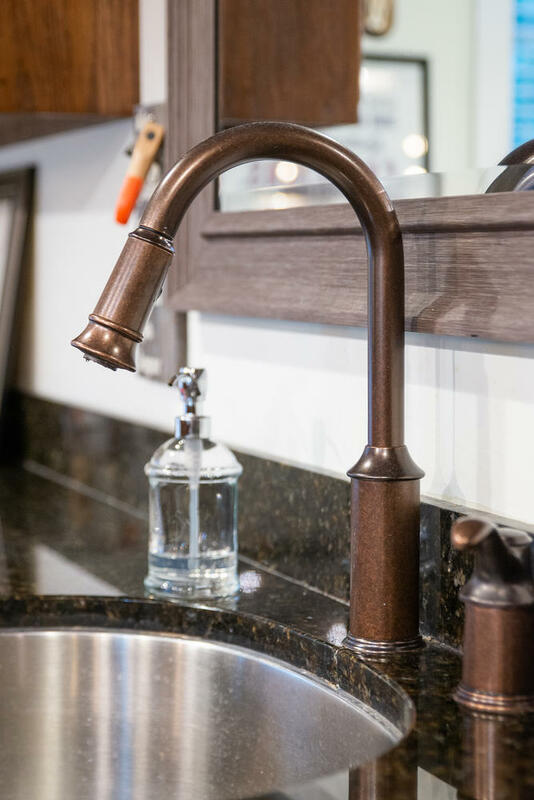 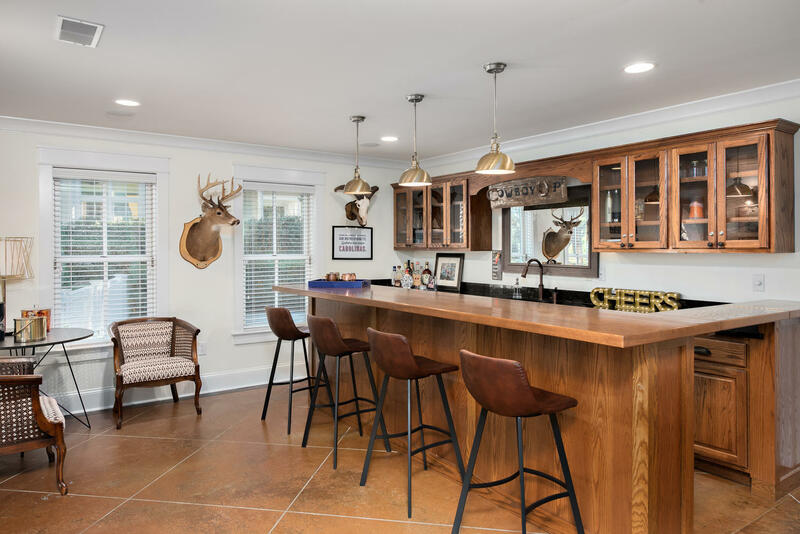 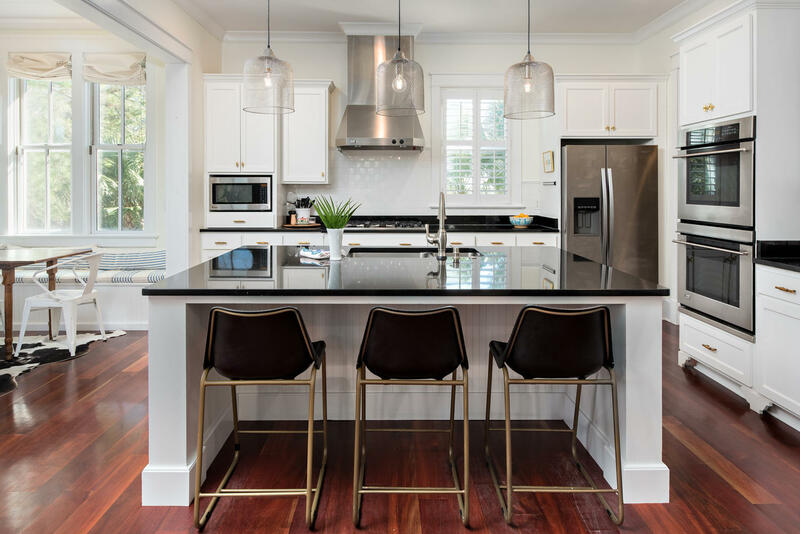 Beautiful cabinetry provides ample storage with additional storage in the Butler's Pantry that features a wet bar, a dual temperature wine refrigerator, upper glass cabinetry, and a convenient dumbwaiter for groceries. 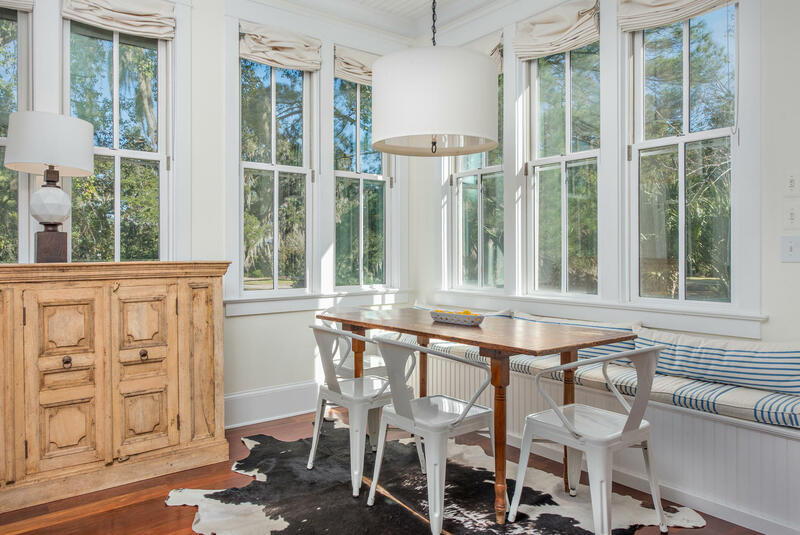 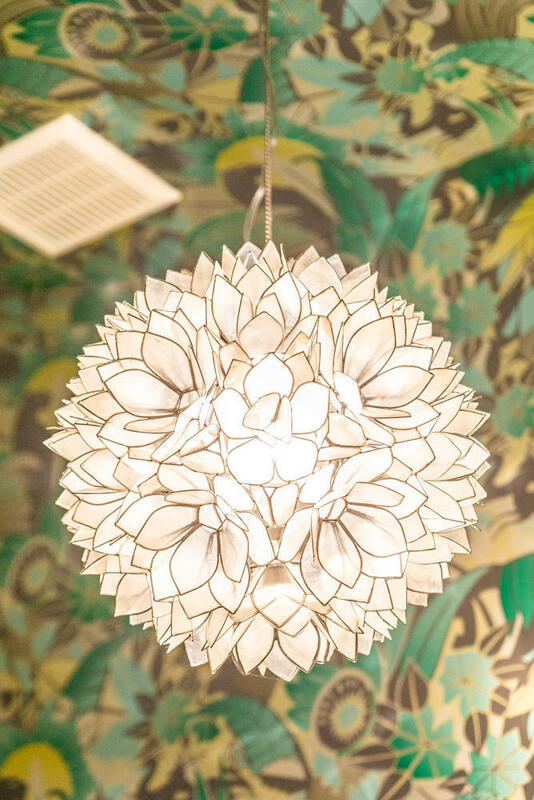 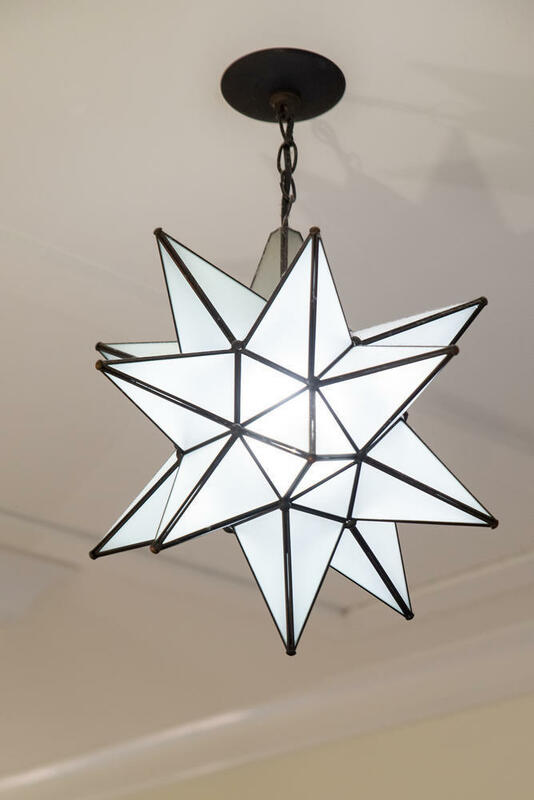 Off the kitchen, is the breakfast room surrounded by windows and provides beautiful natural light. 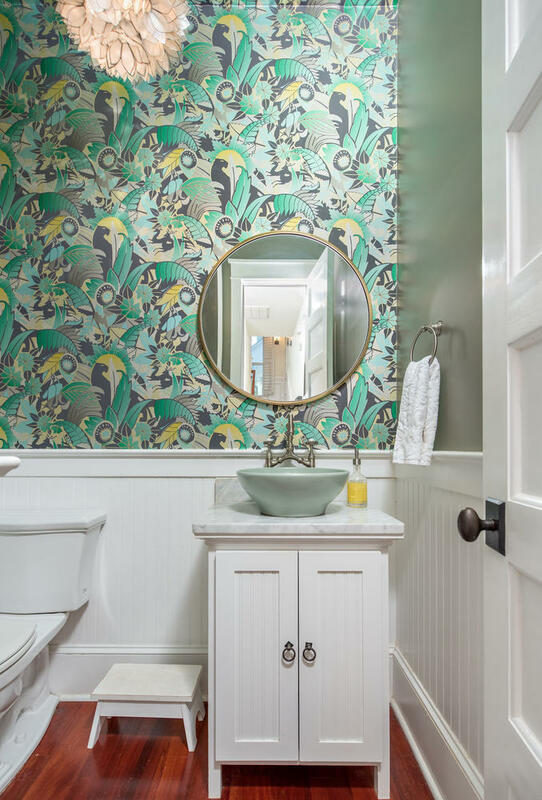 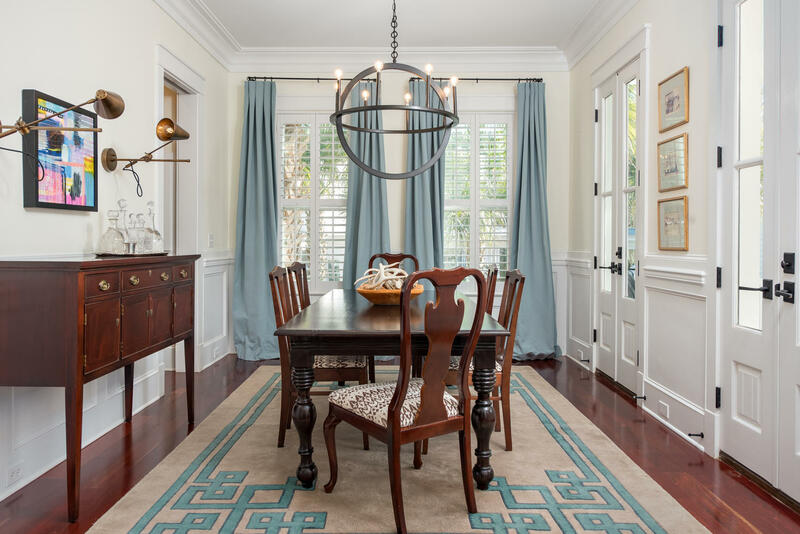 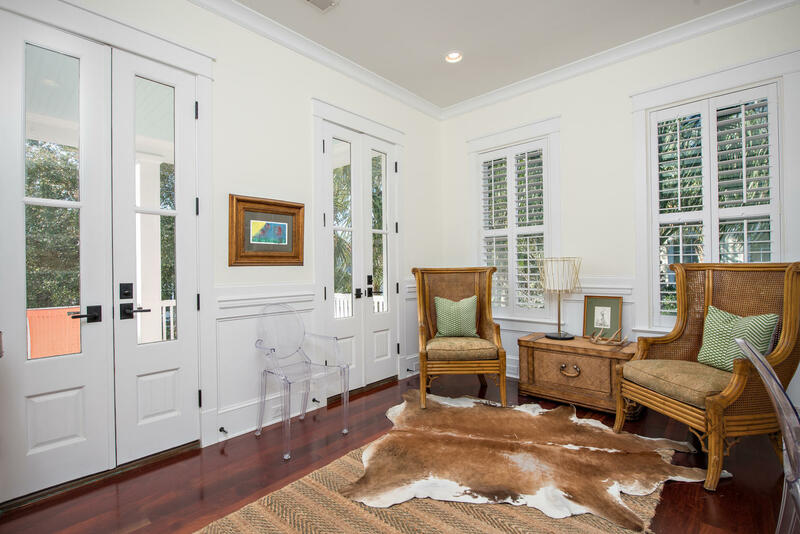 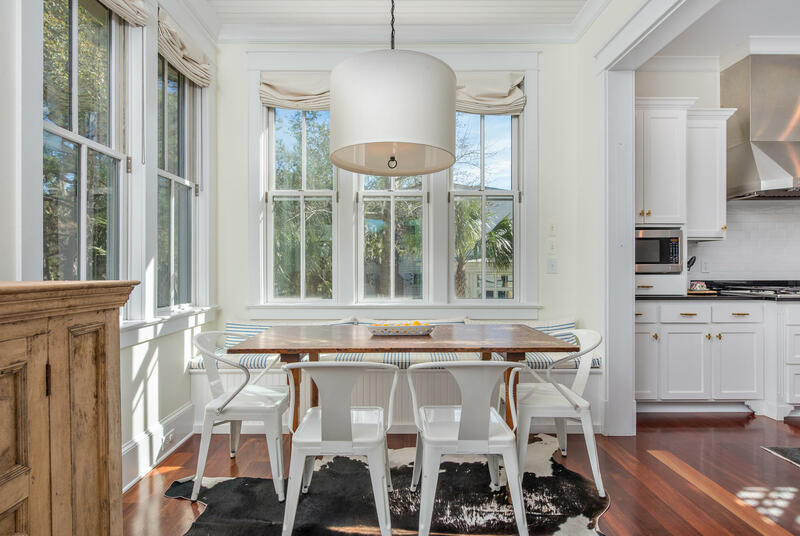 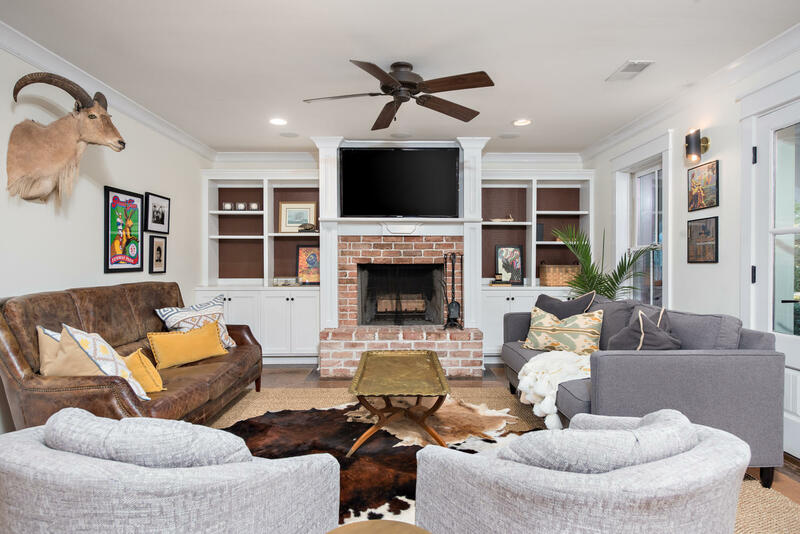 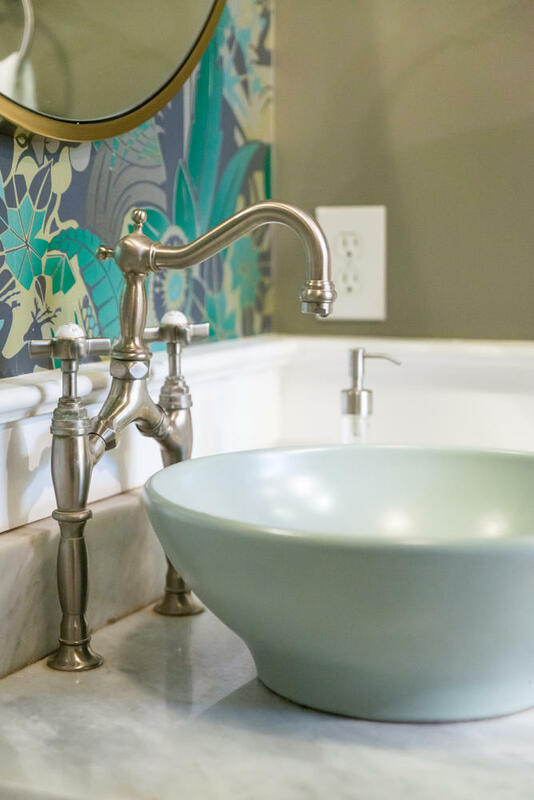 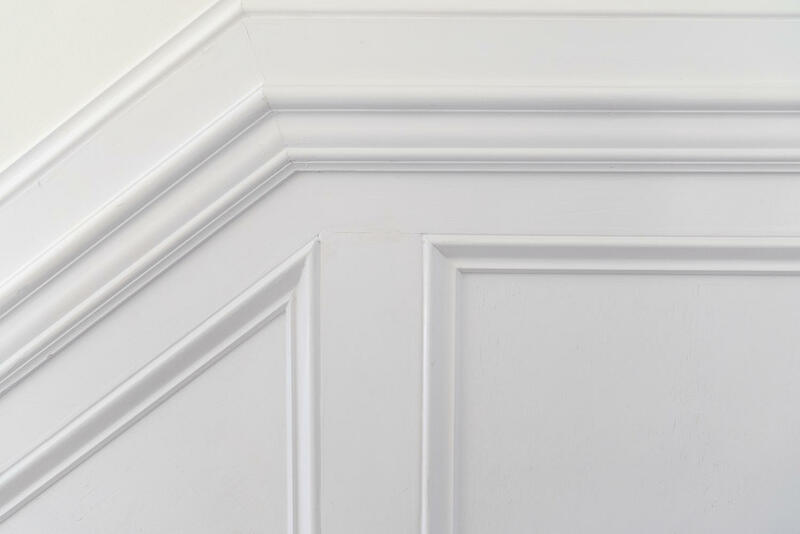 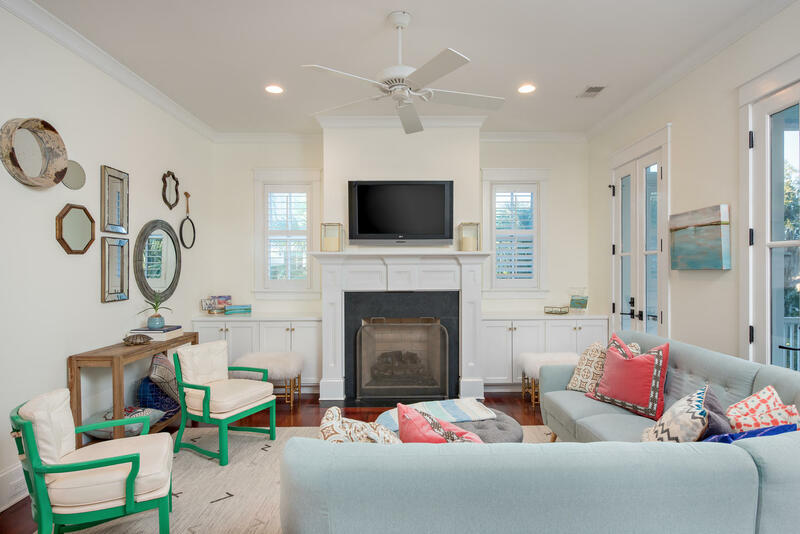 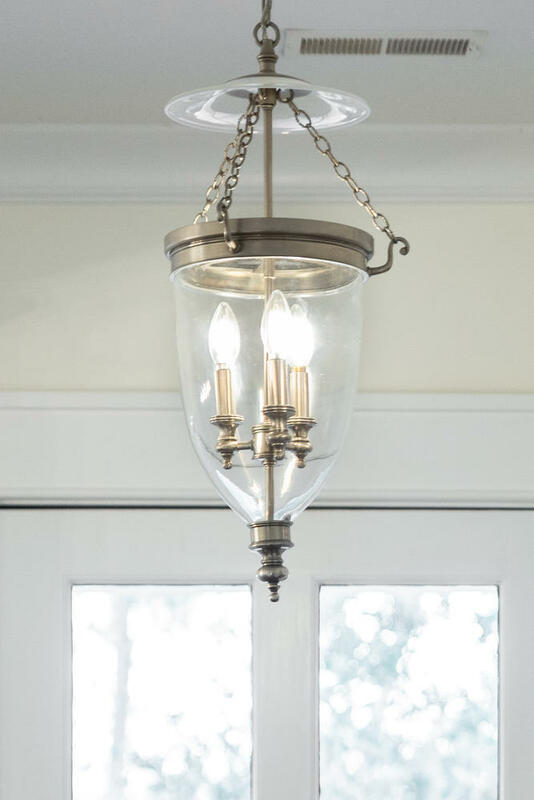 Bright whites throughout this home accent the architectural details of the trim molding and the spacious rooms with modern touches and punches of color with the homeowners classic and whimsical pieces. 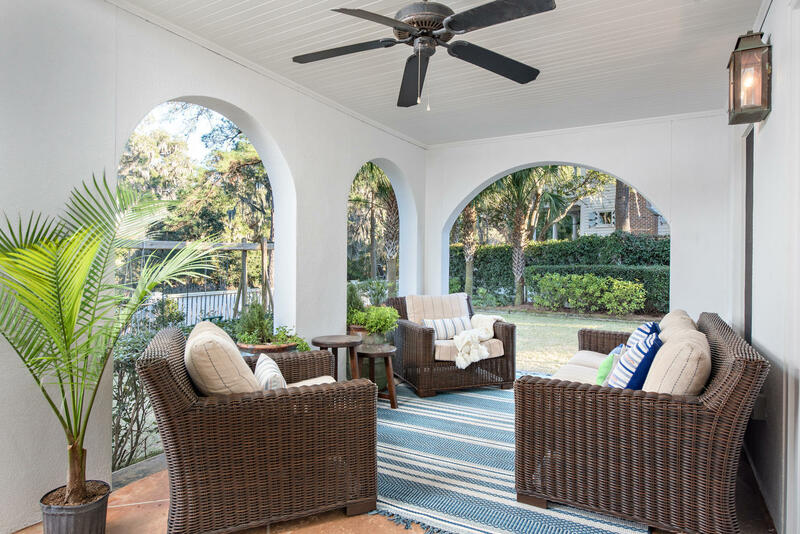 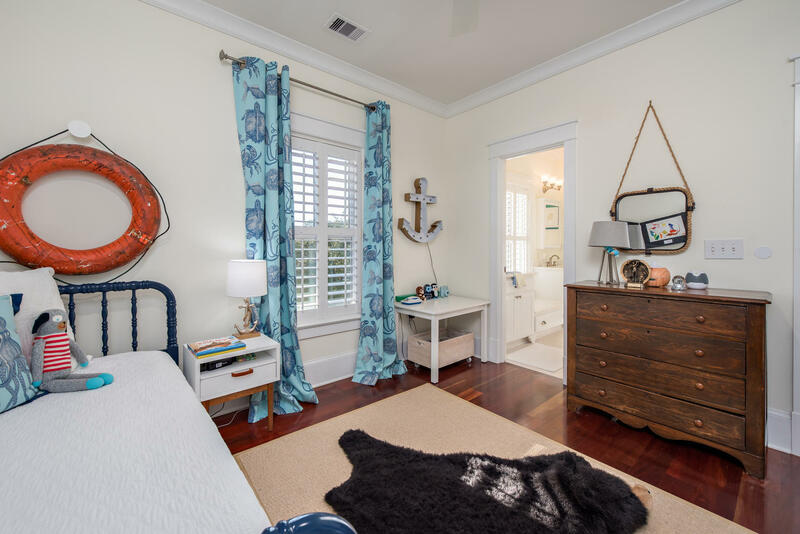 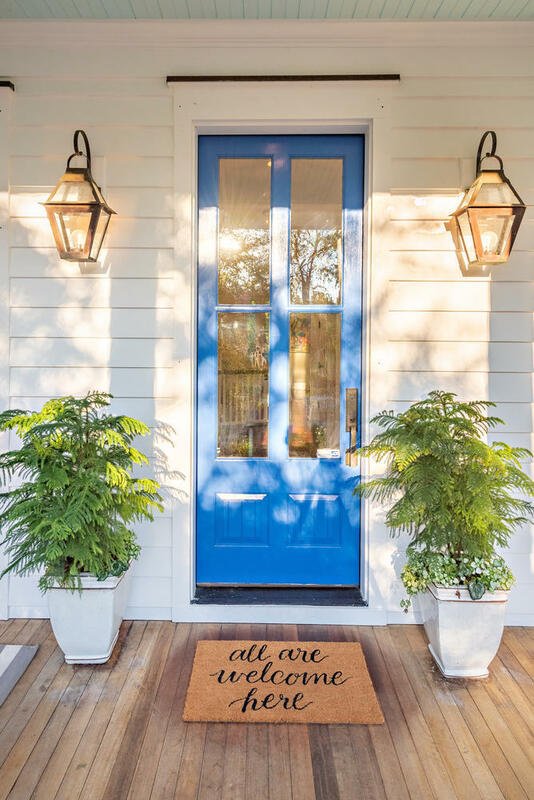 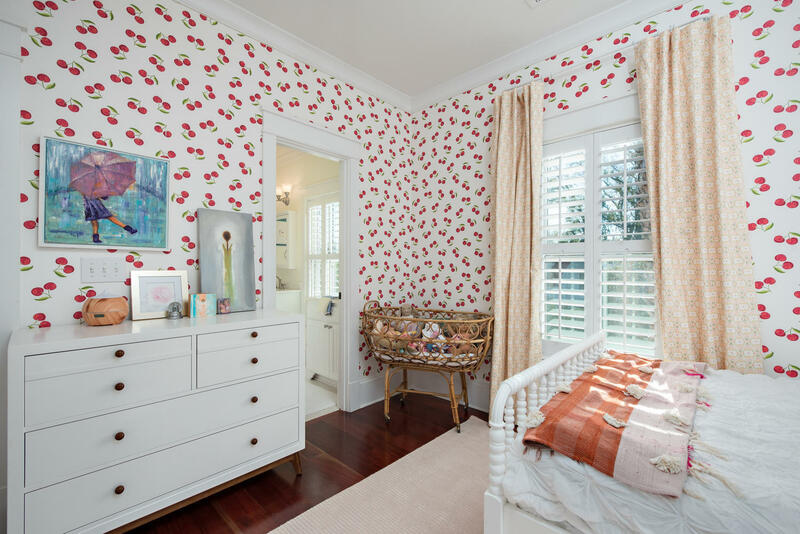 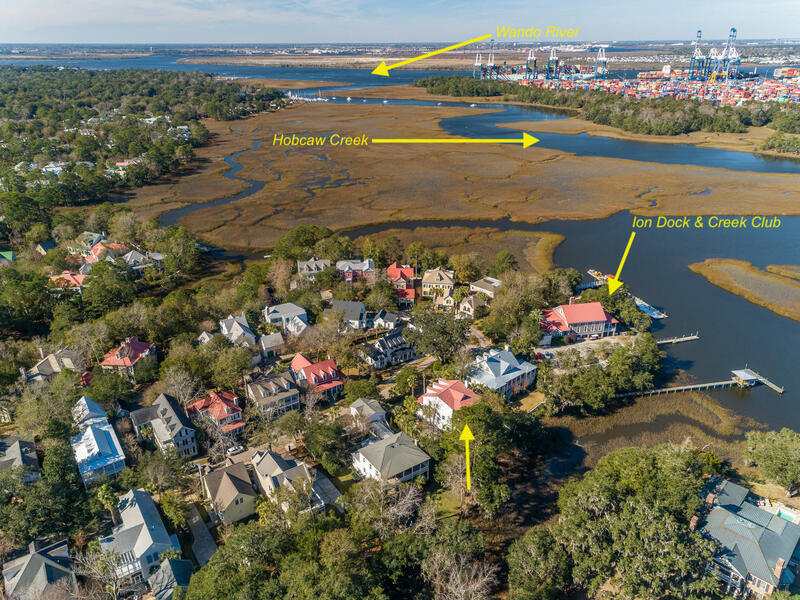 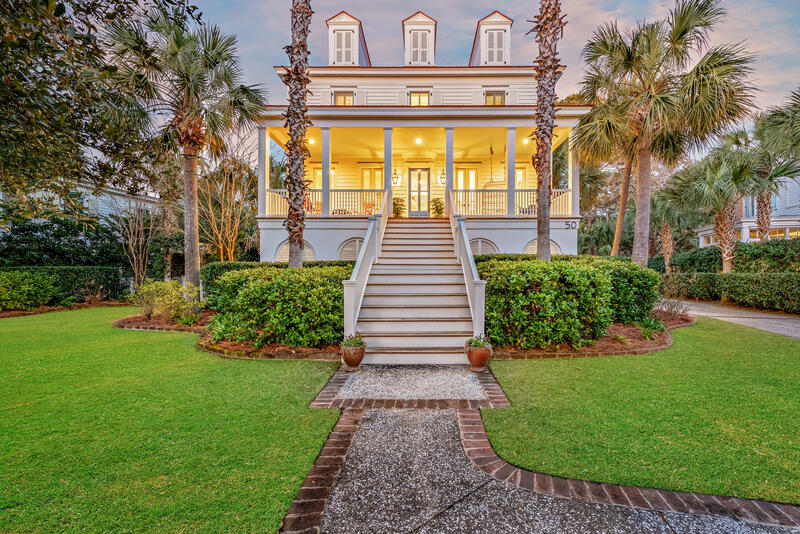 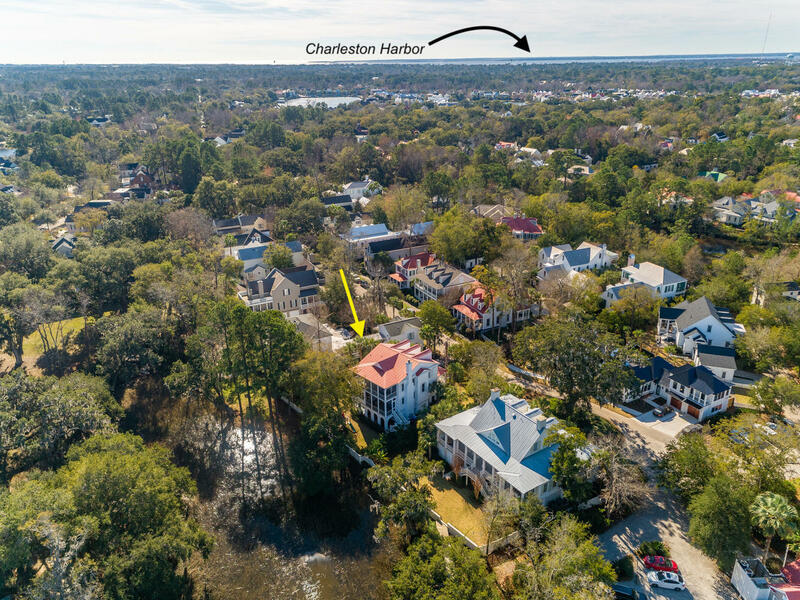 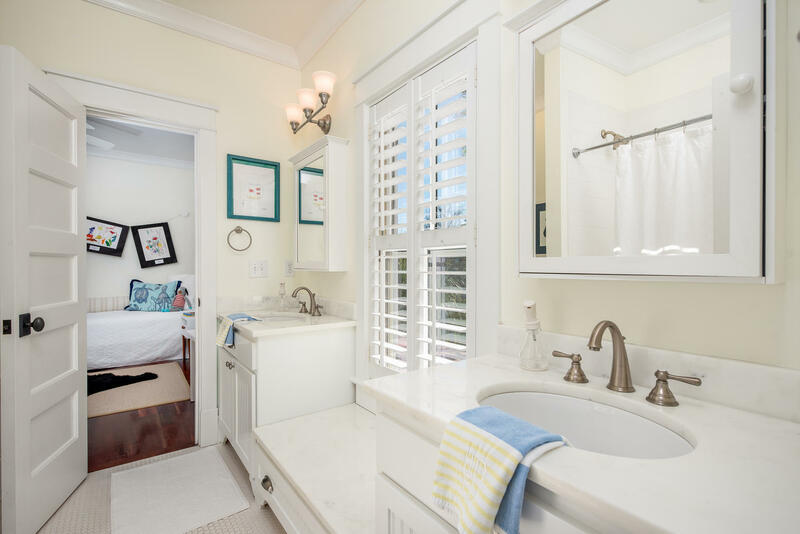 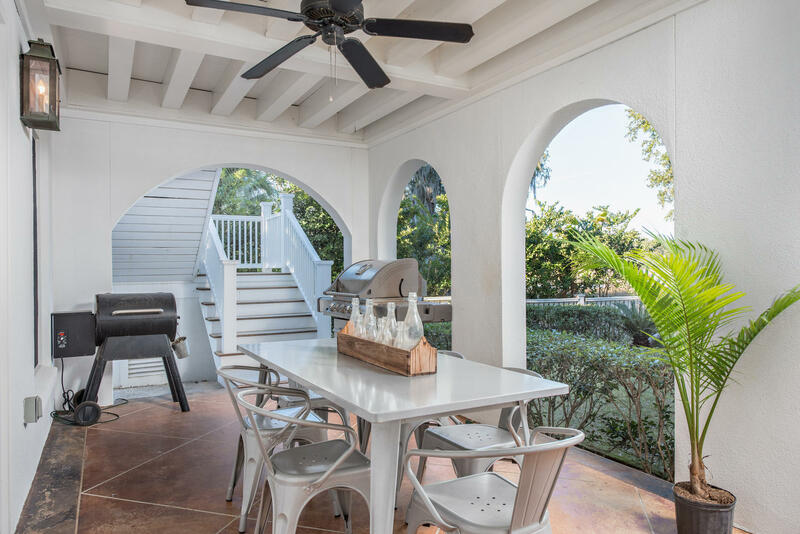 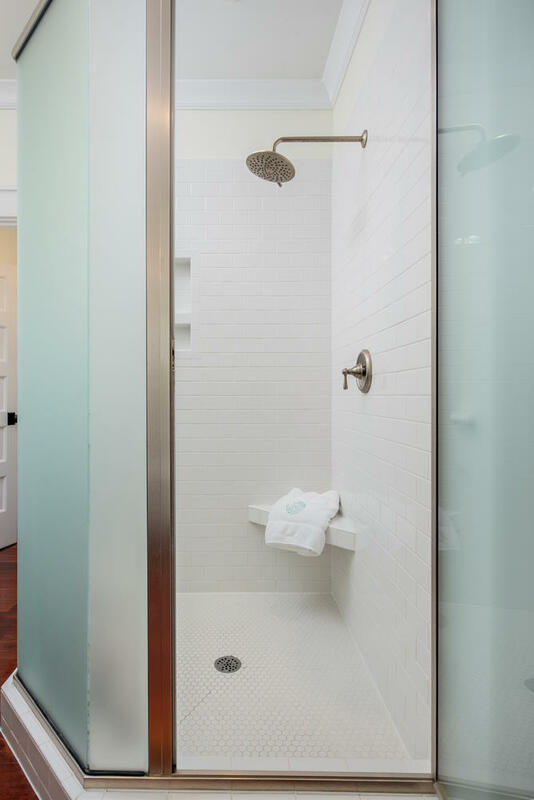 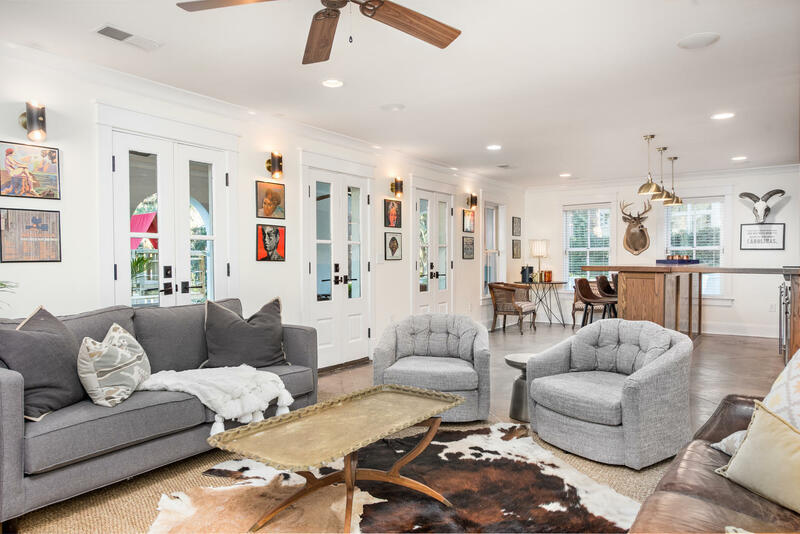 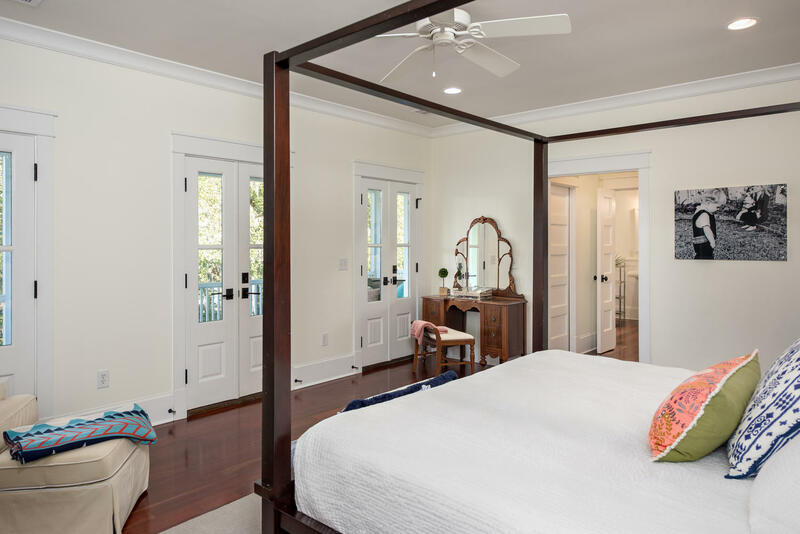 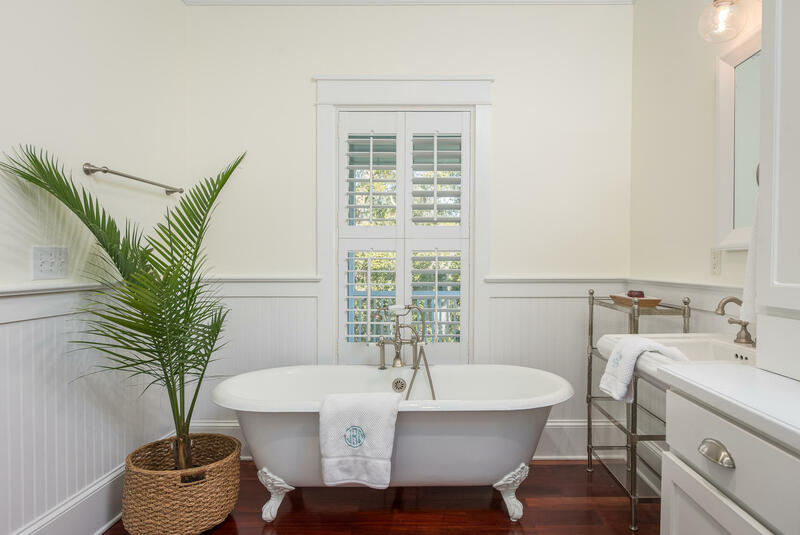 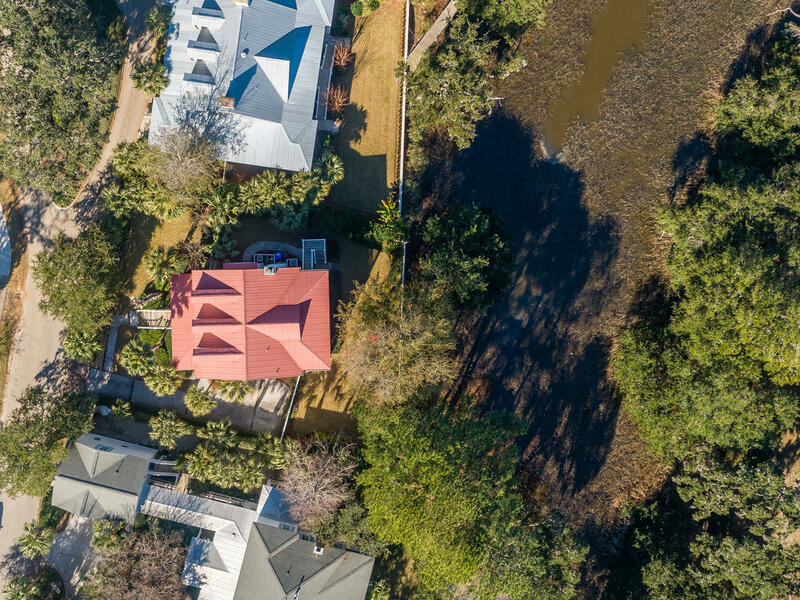 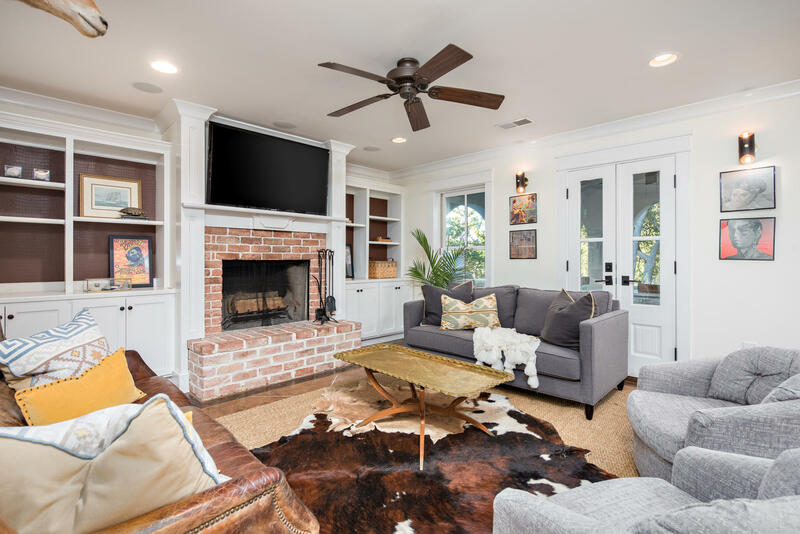 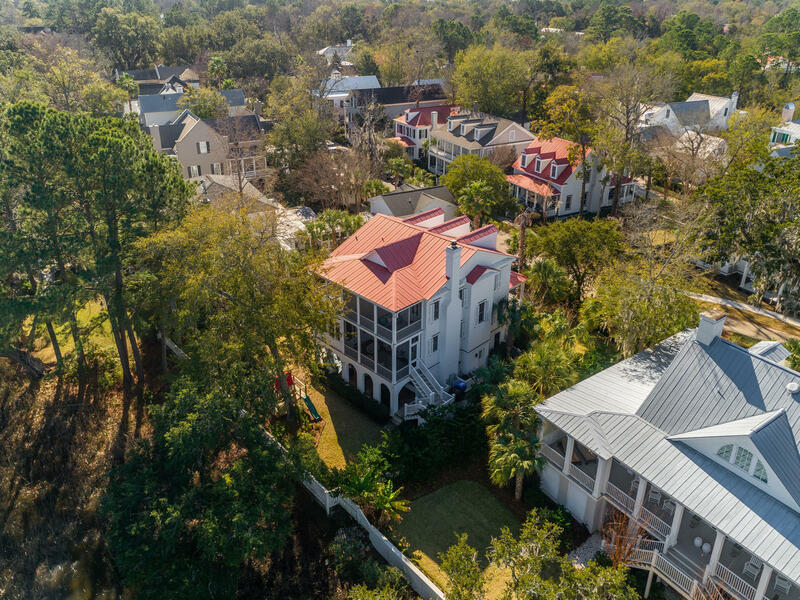 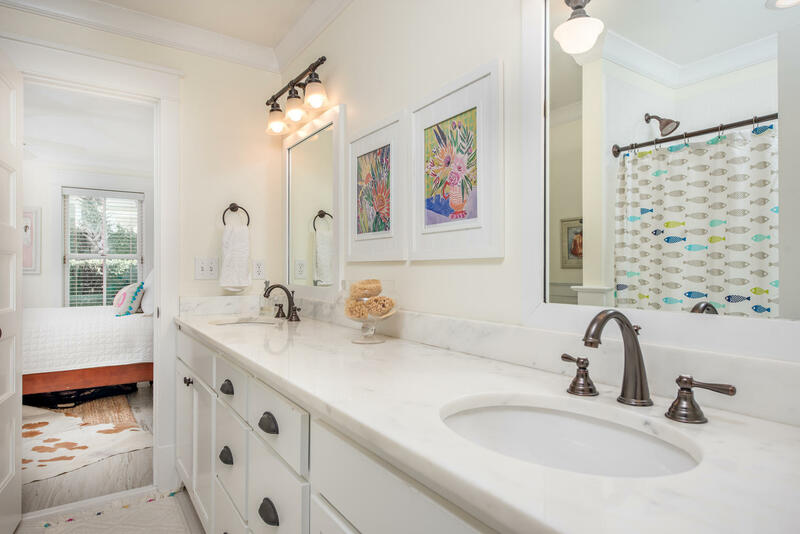 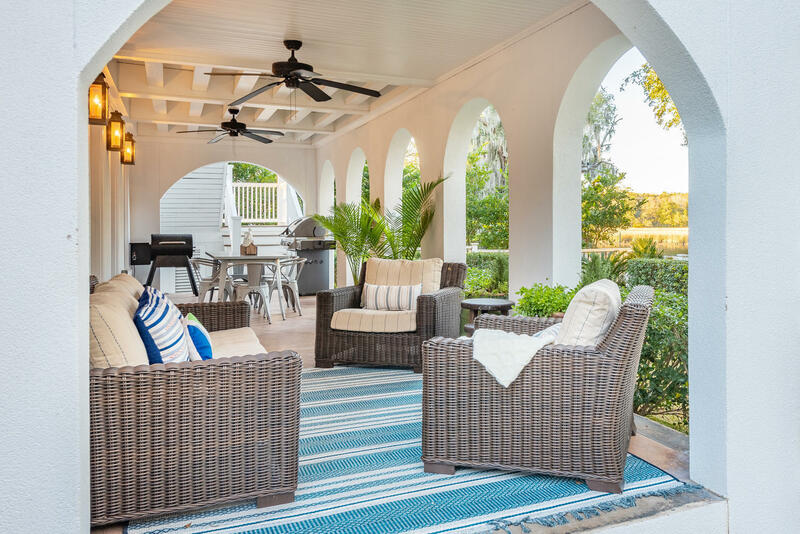 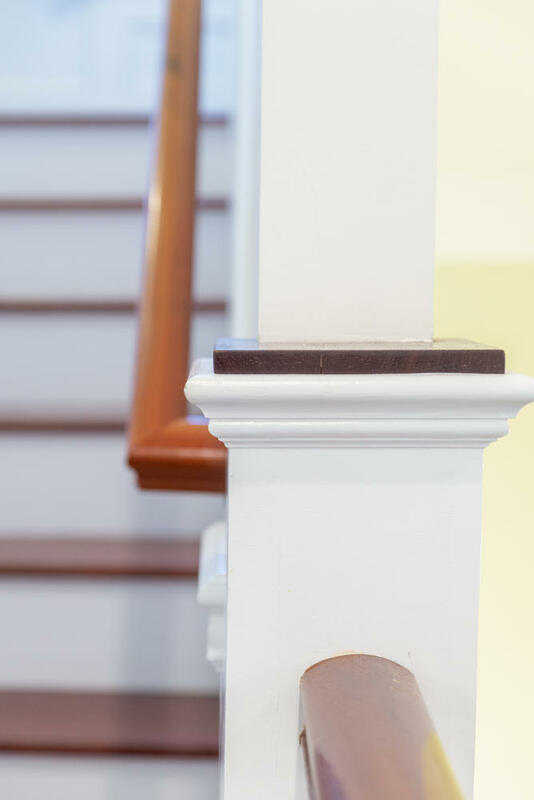 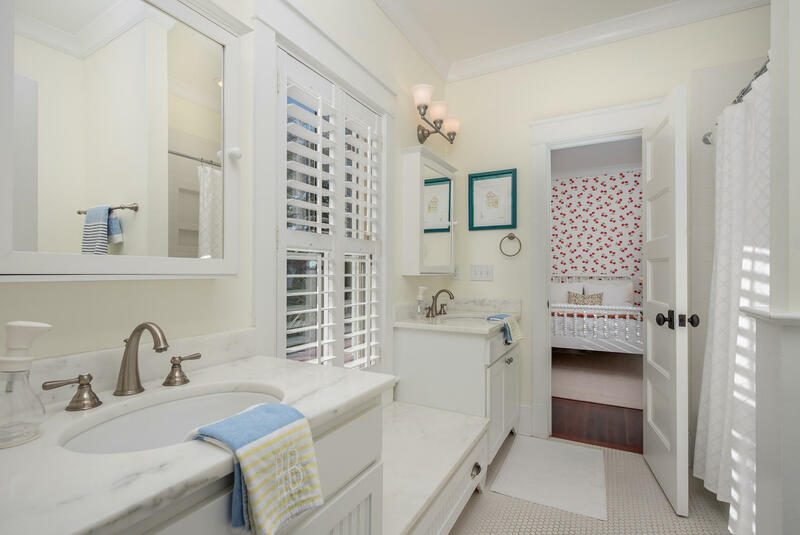 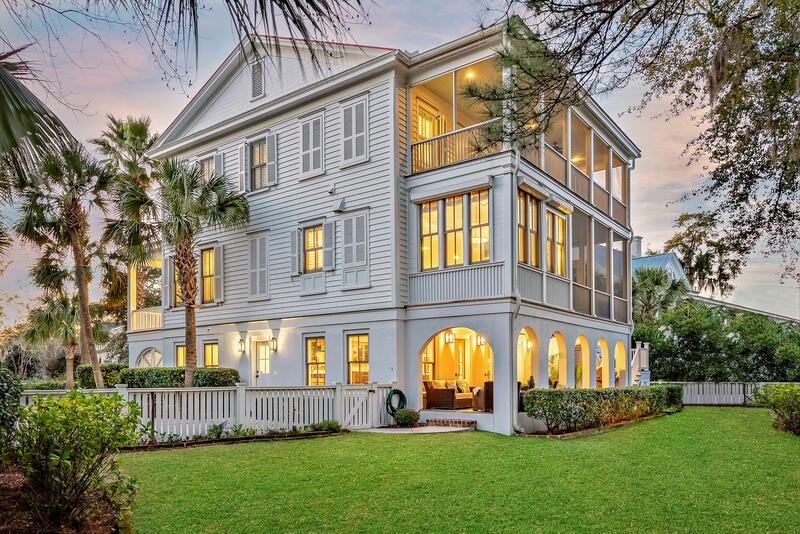 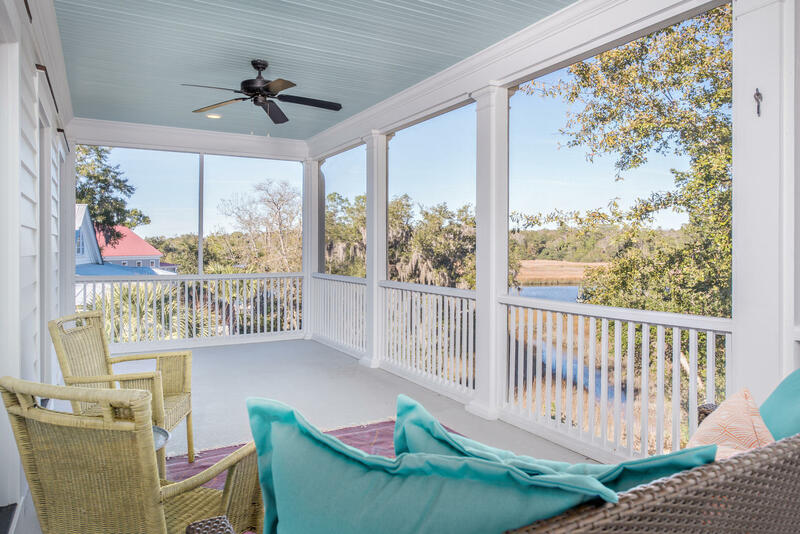 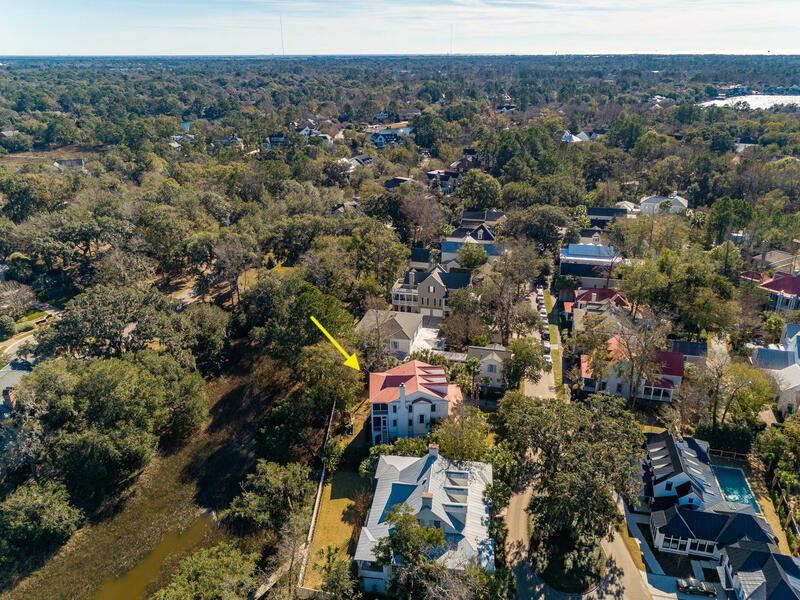 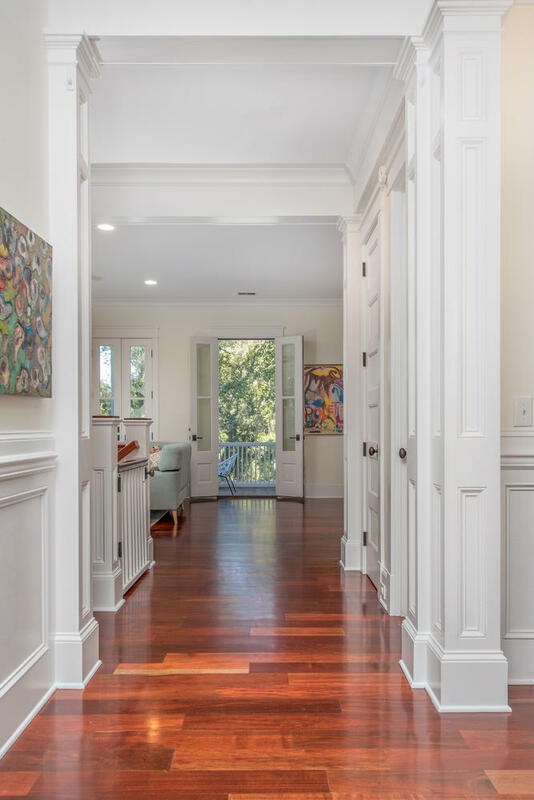 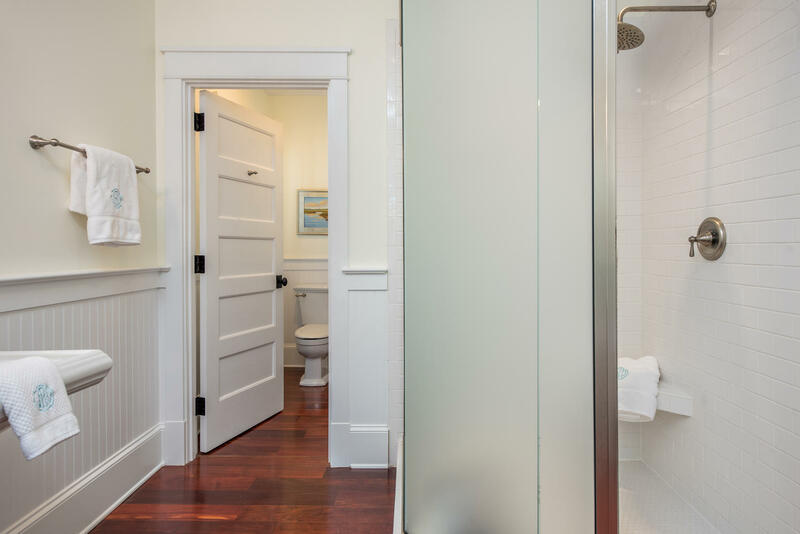 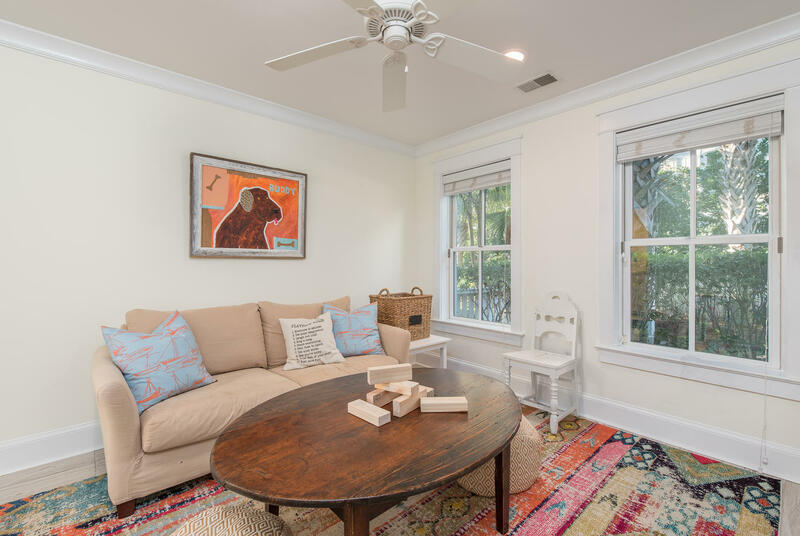 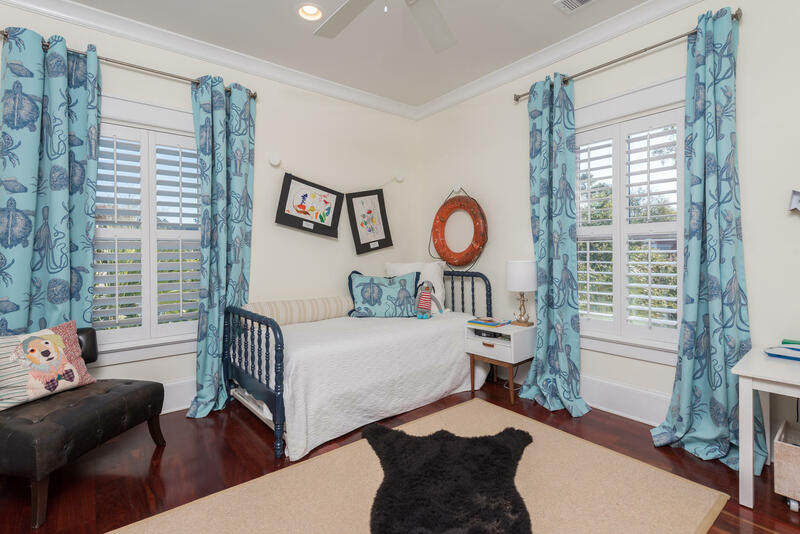 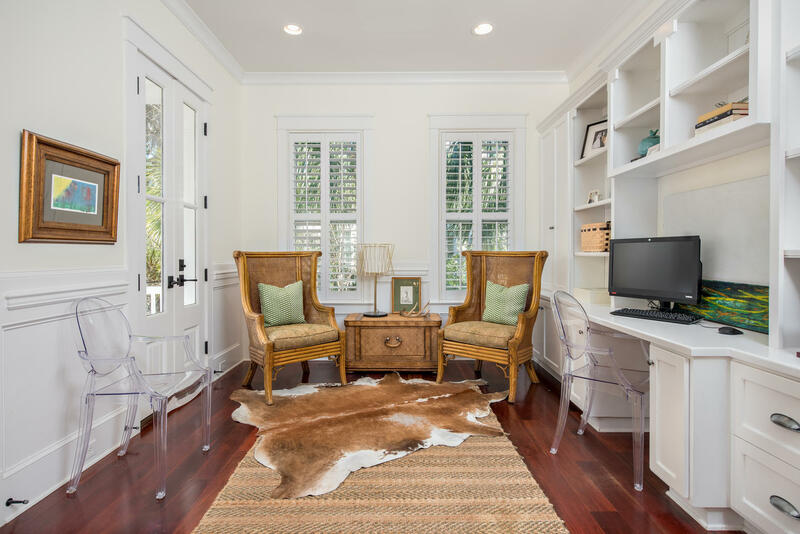 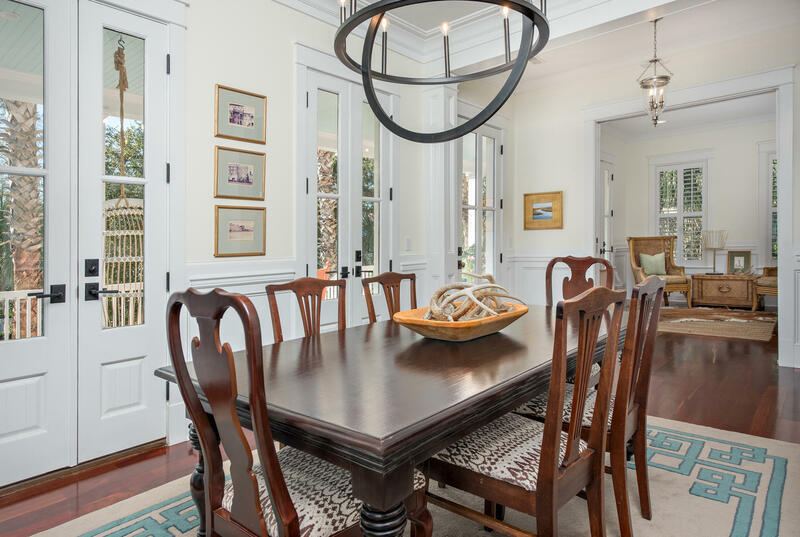 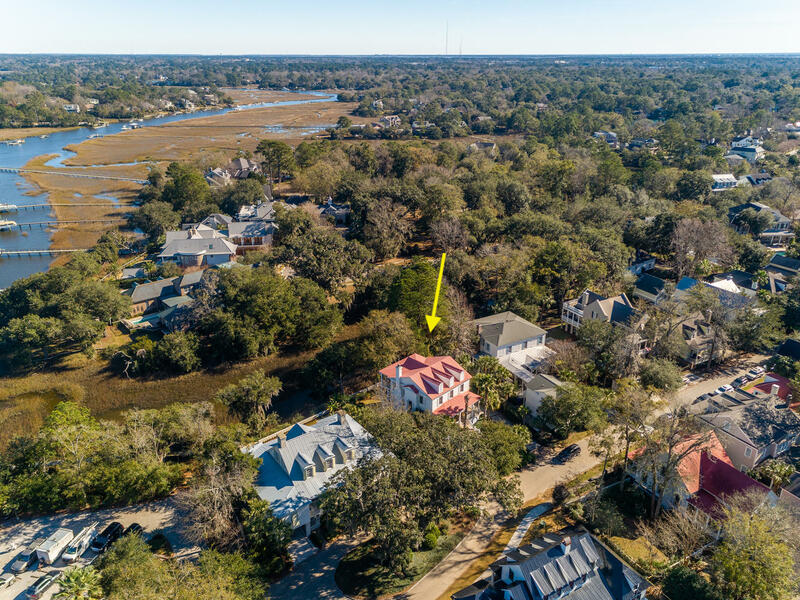 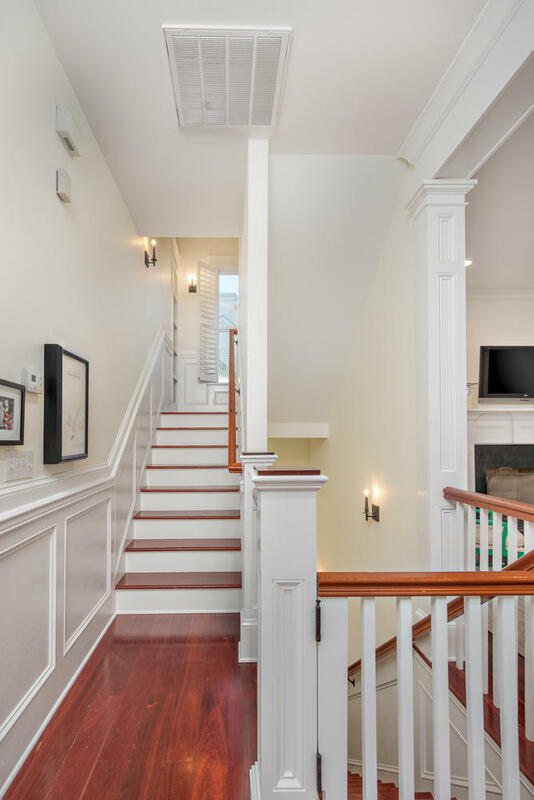 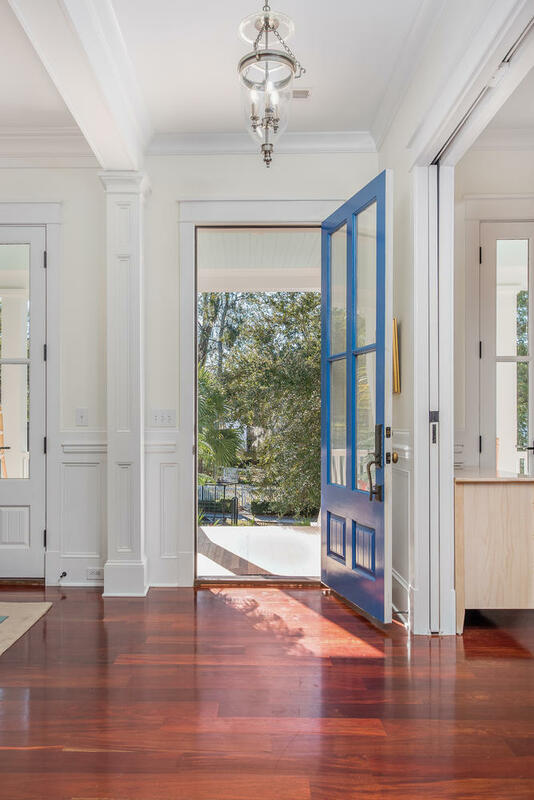 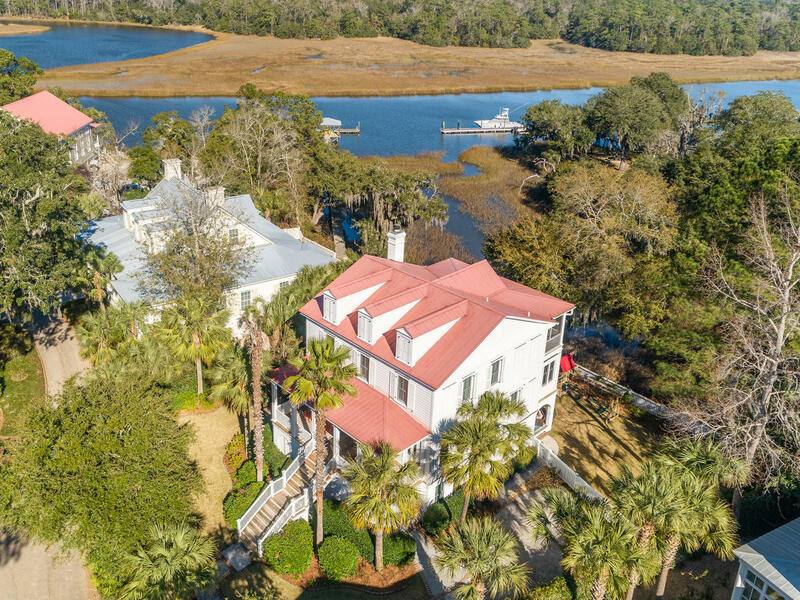 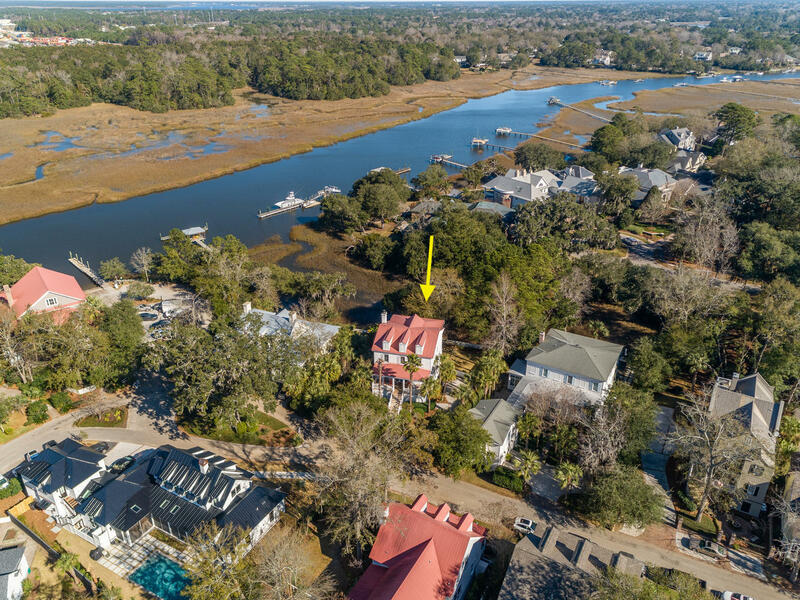 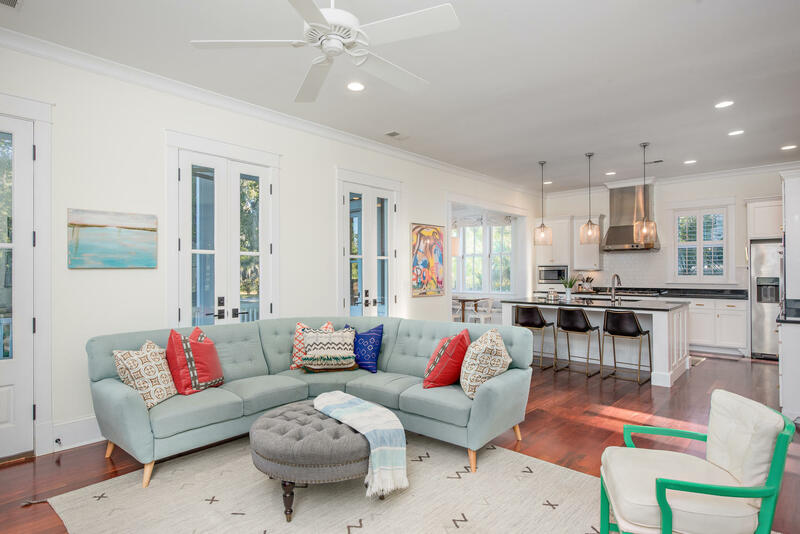 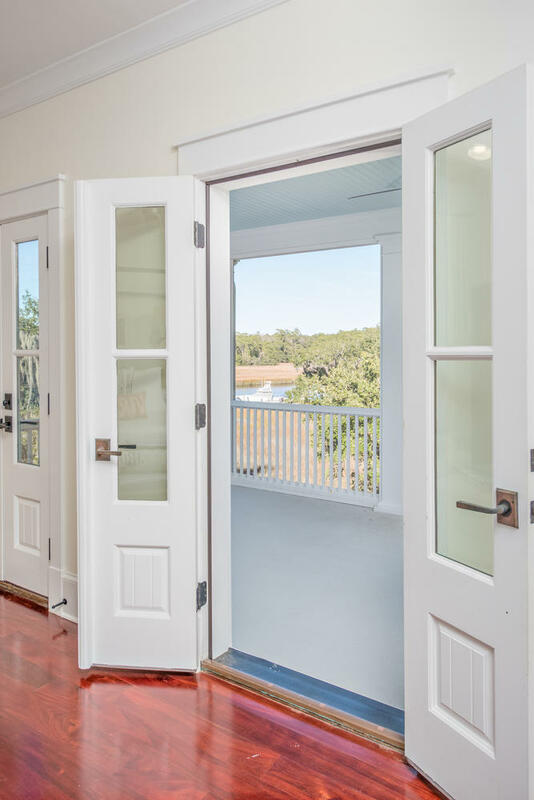 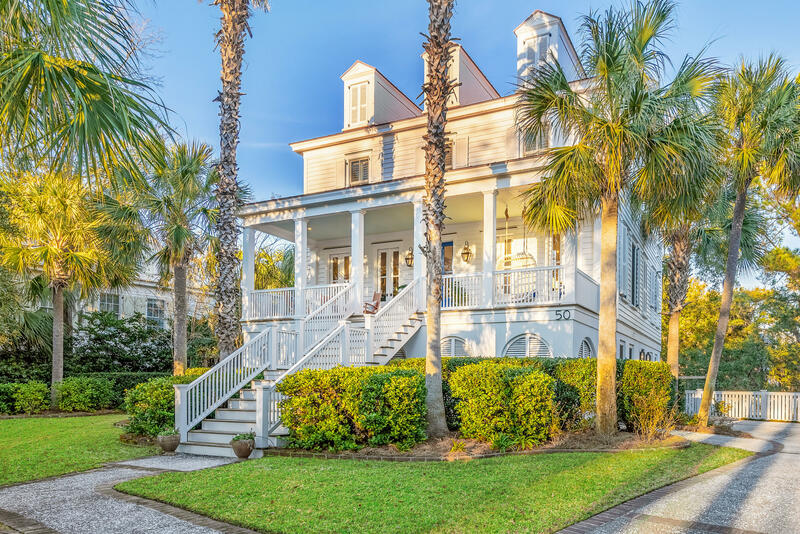 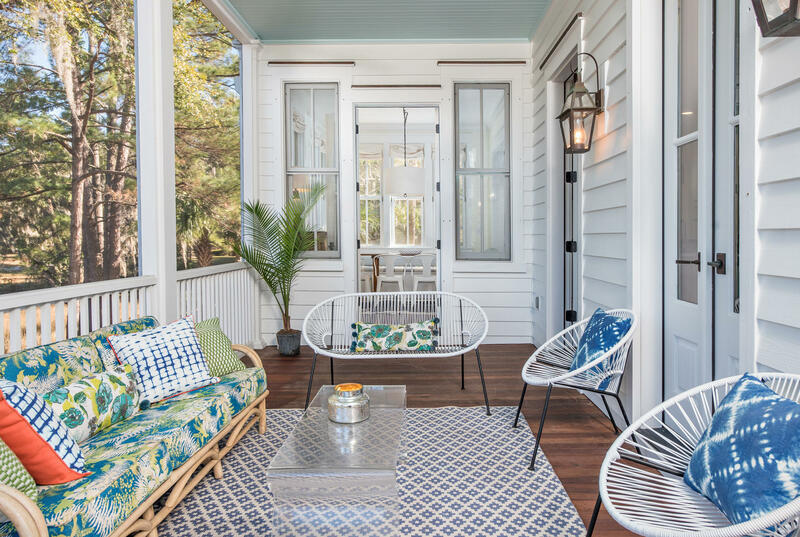 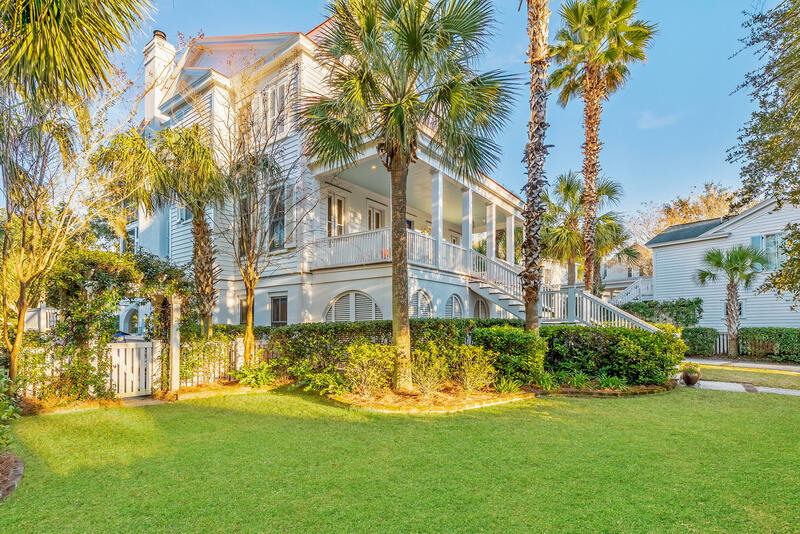 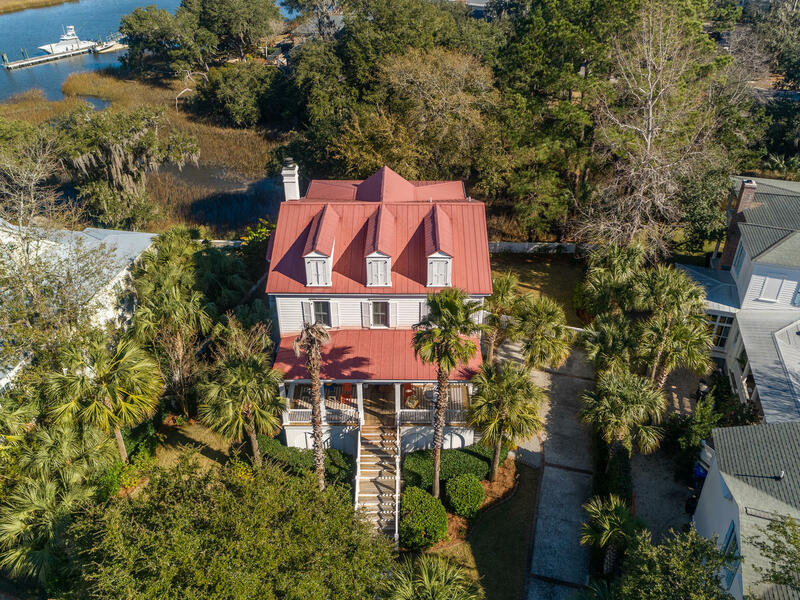 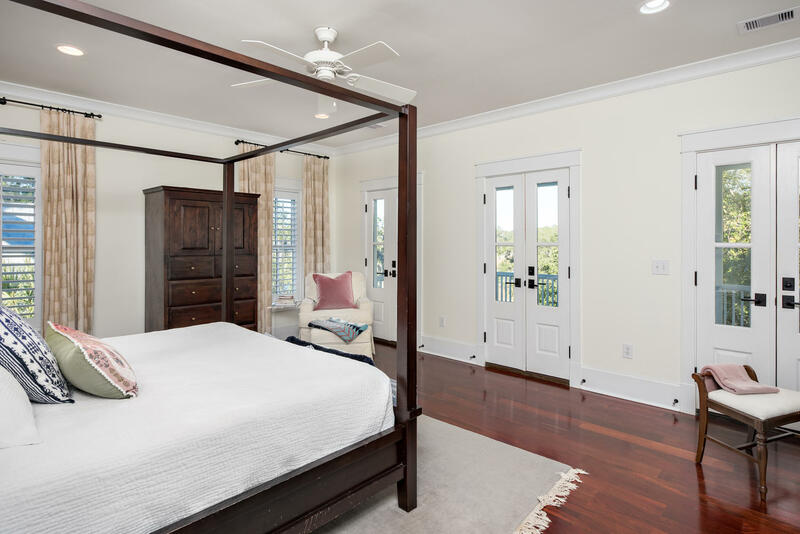 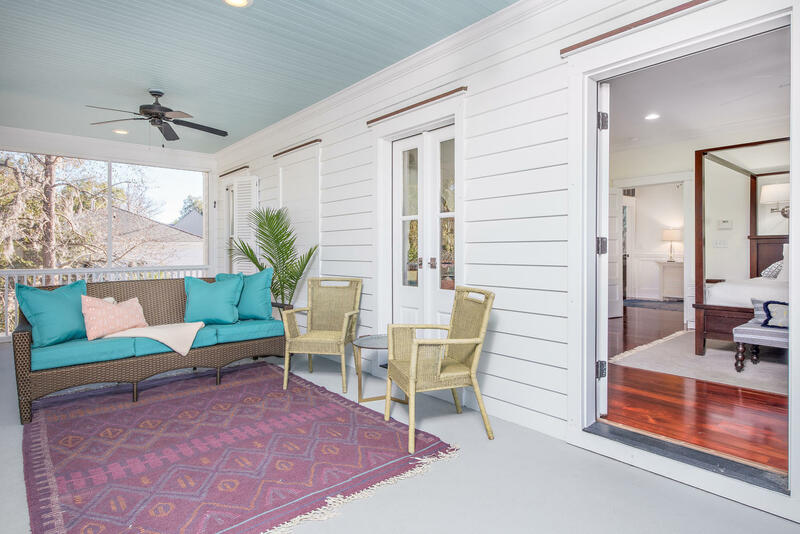 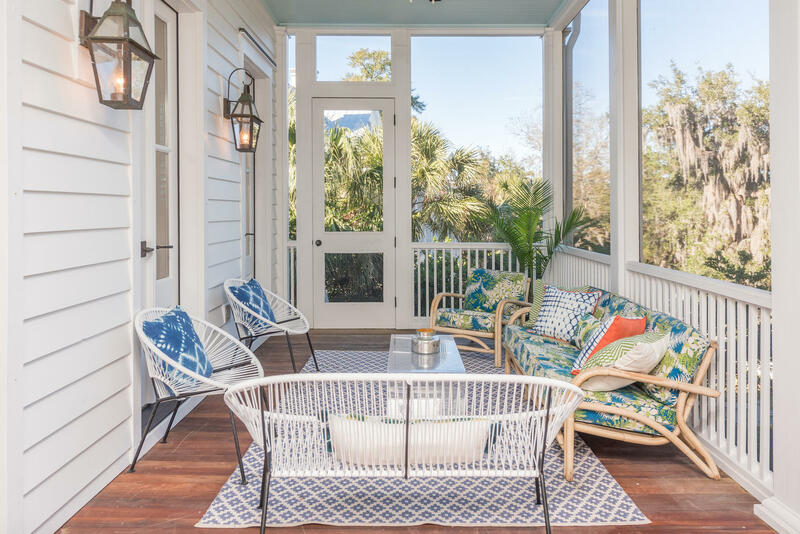 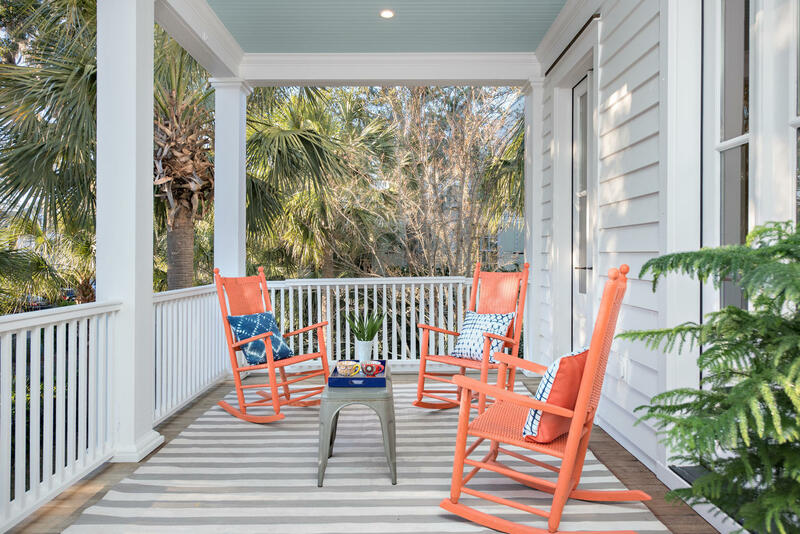 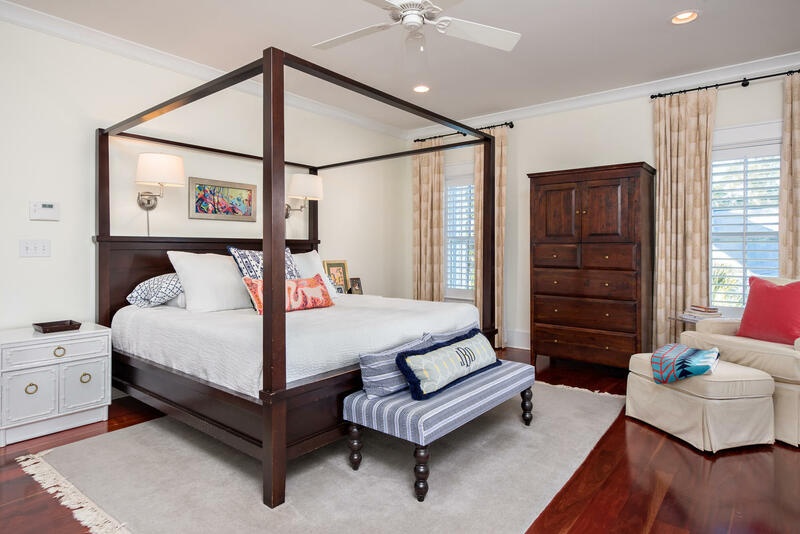 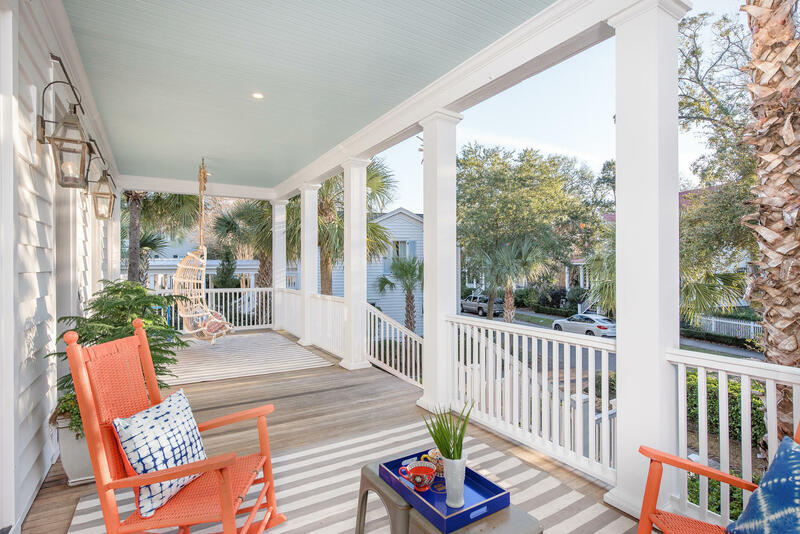 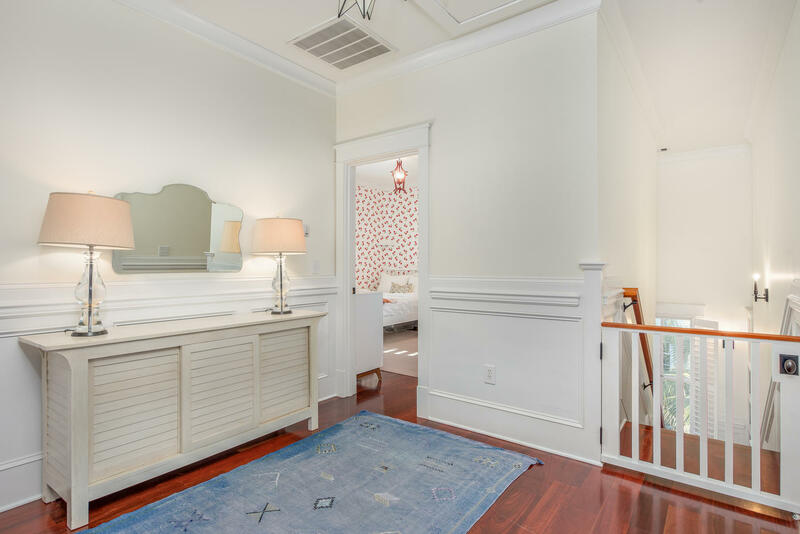 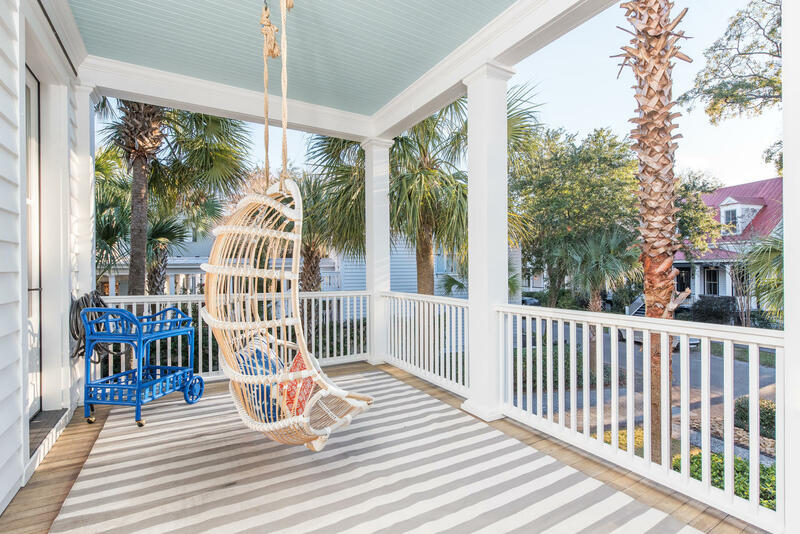 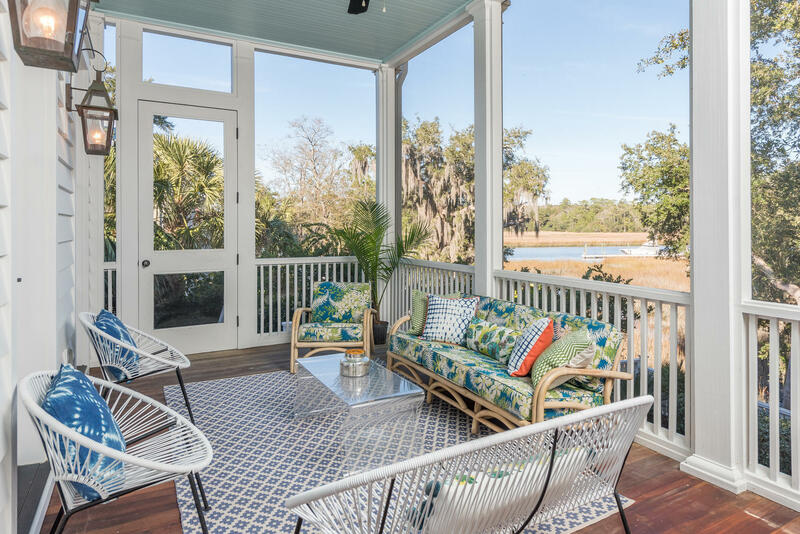 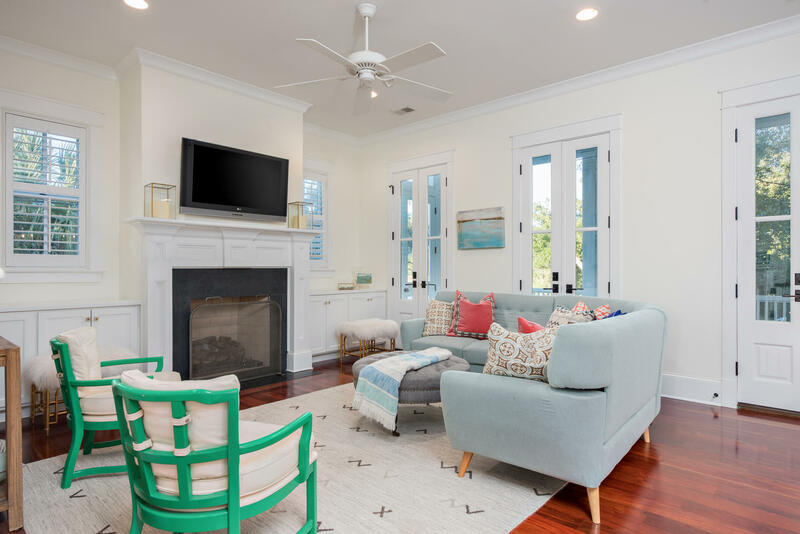 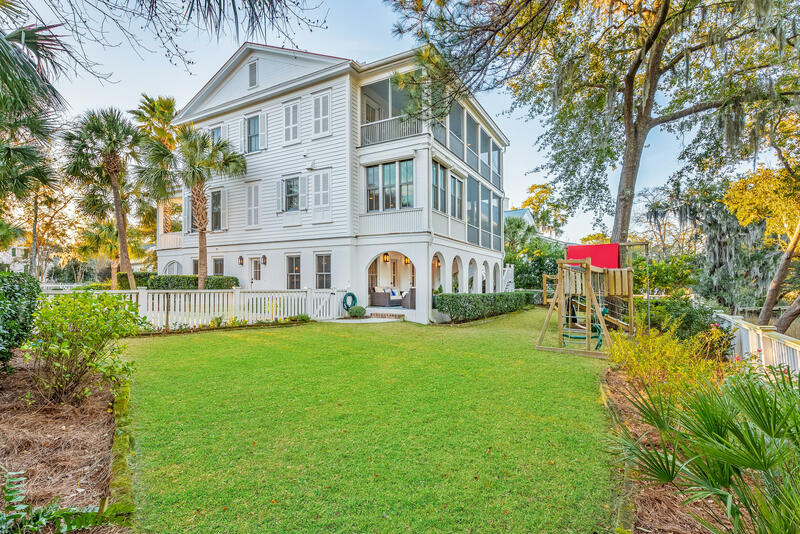 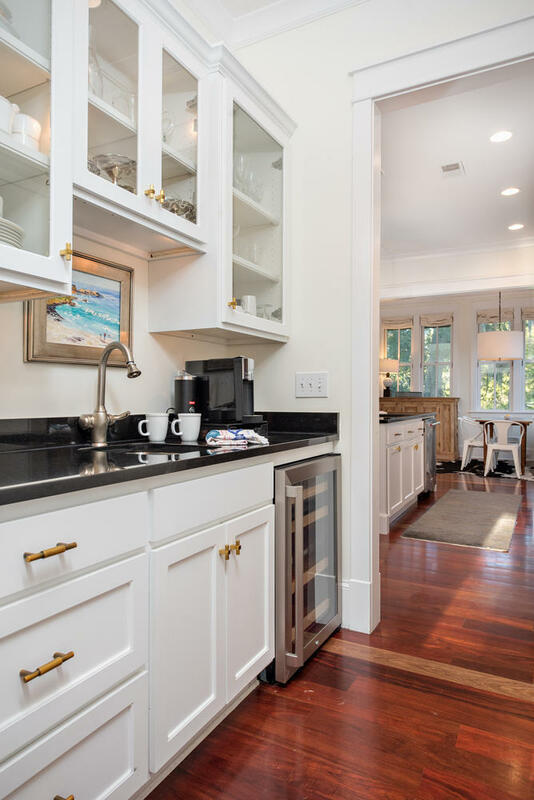 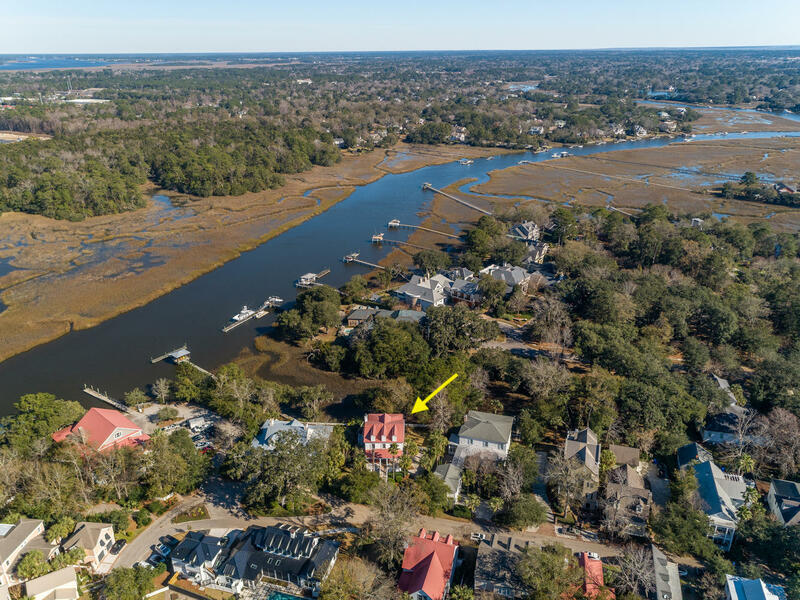 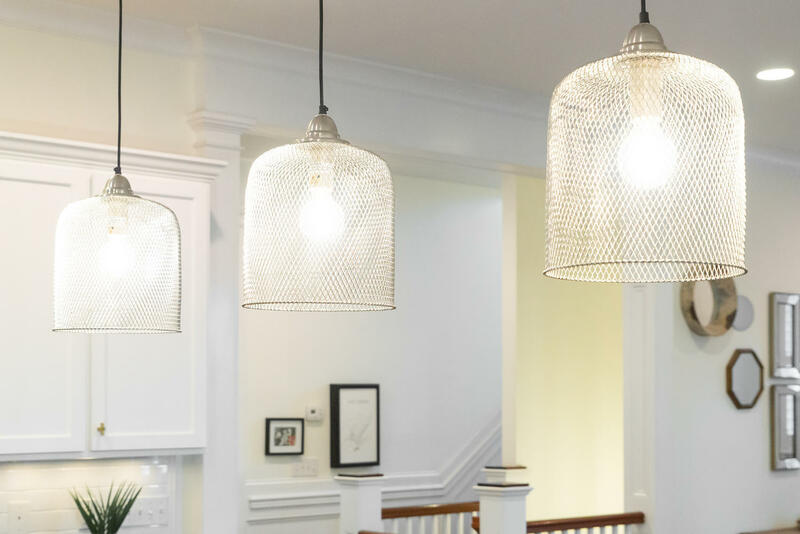 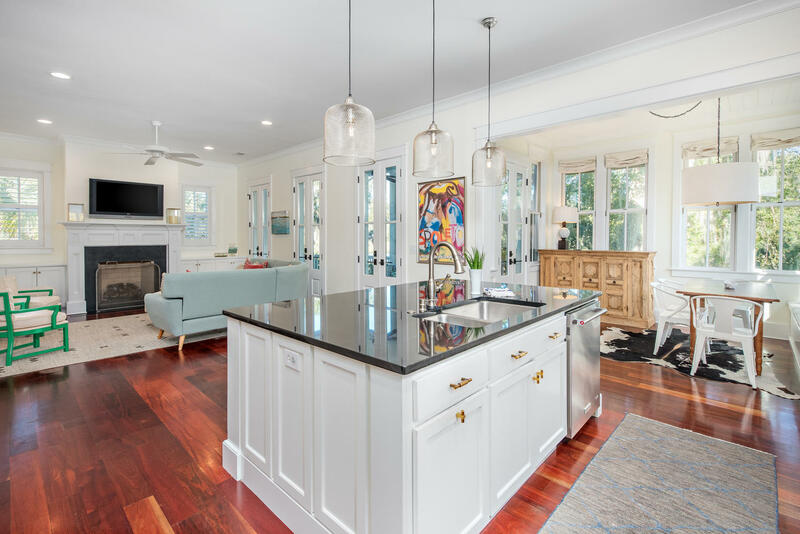 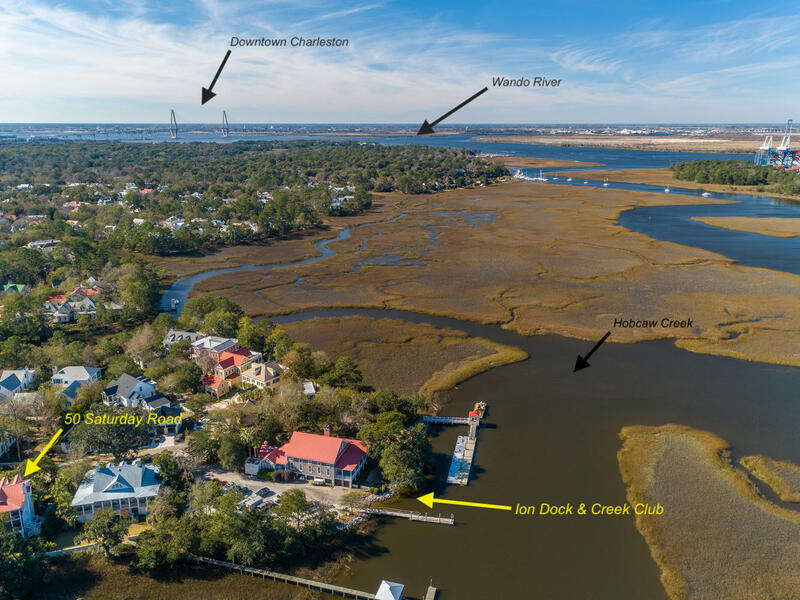 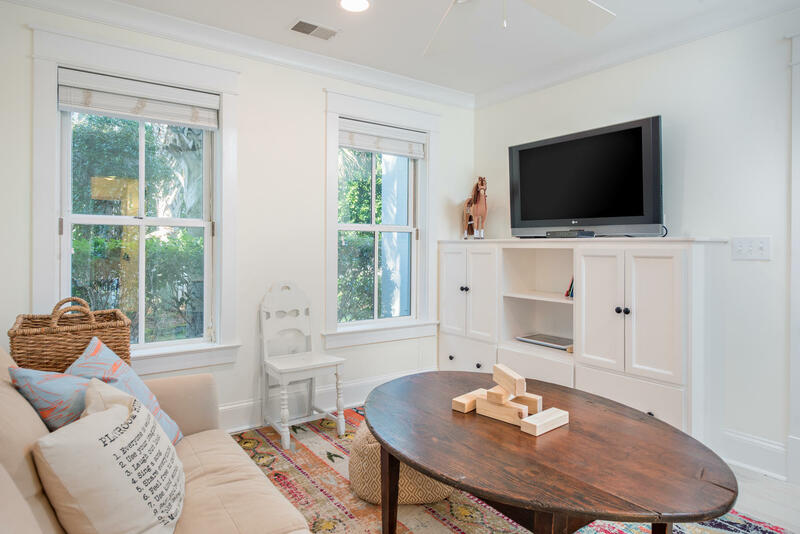 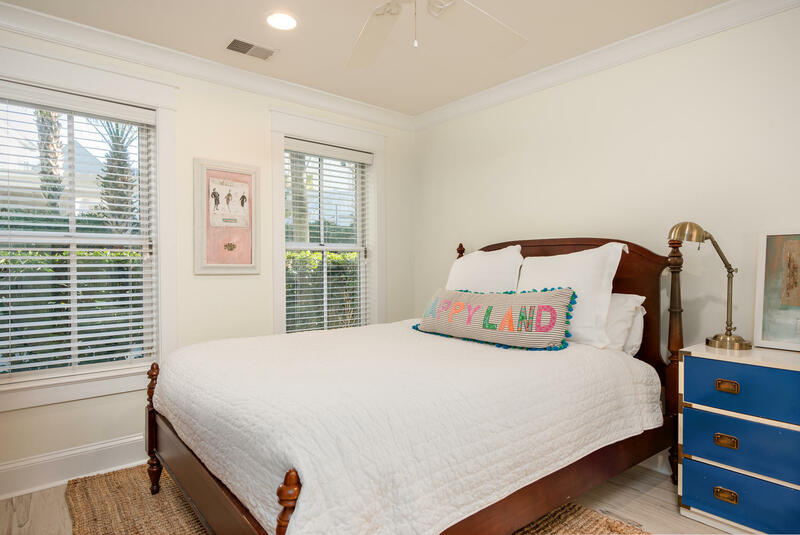 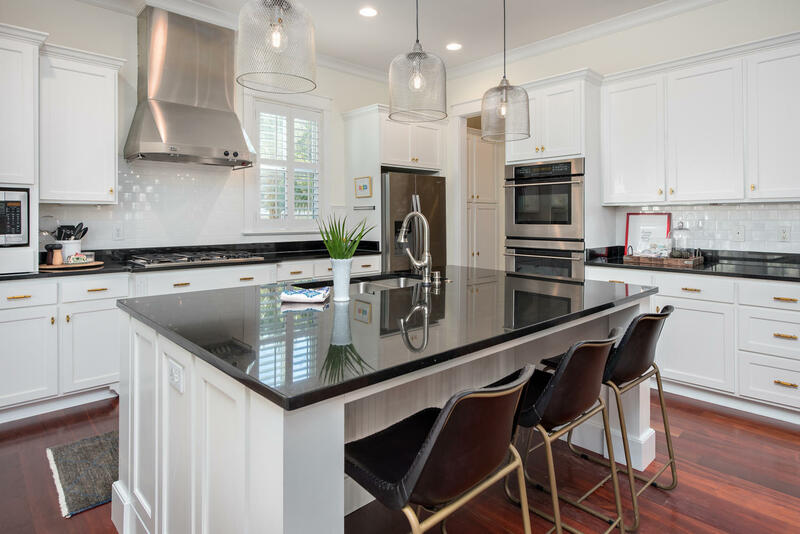 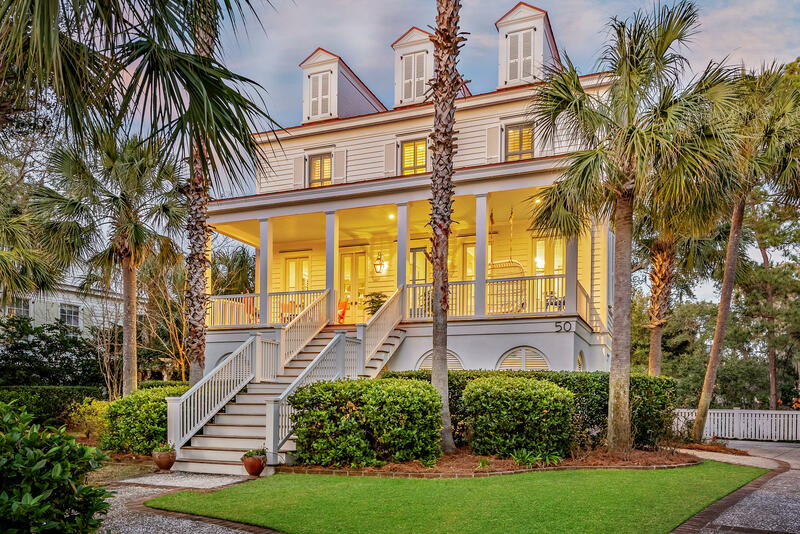 The 3rd-floor level features three bedrooms, two bedrooms with a Jack-N-Jill Bath, the laundry room and the Master Bedroom with Ensuite as well as three French doors that open onto a private porch capturing more of those water views. 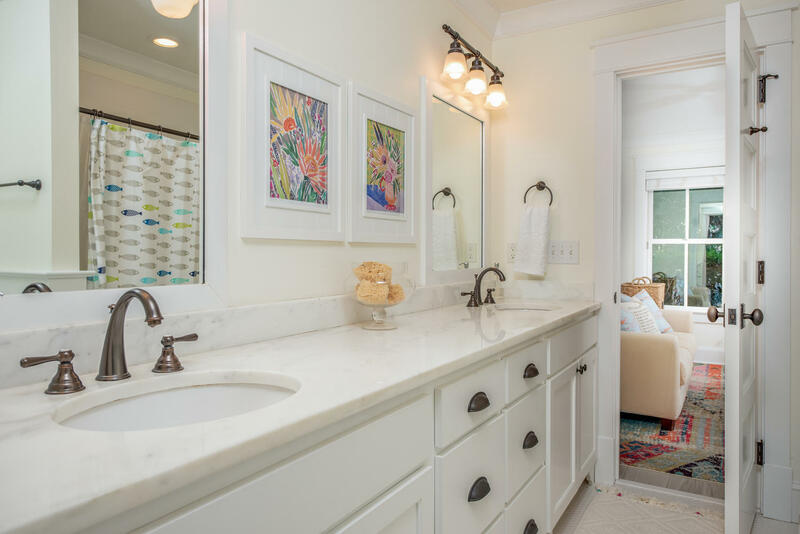 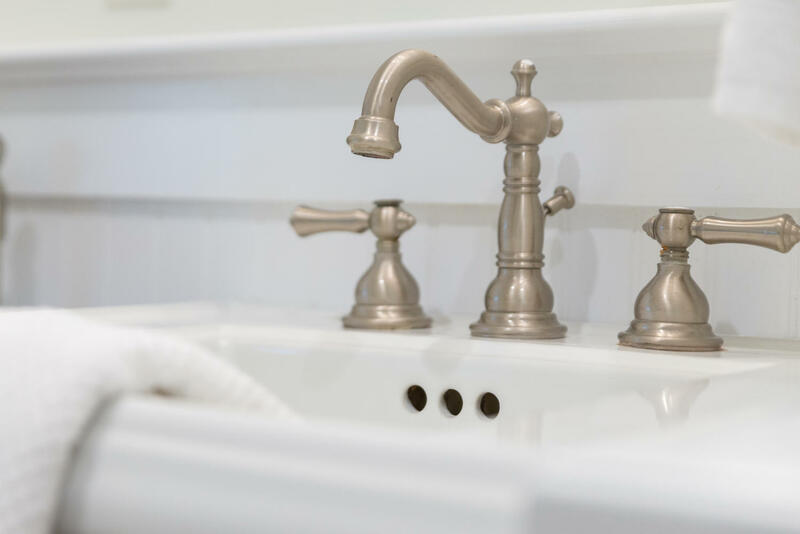 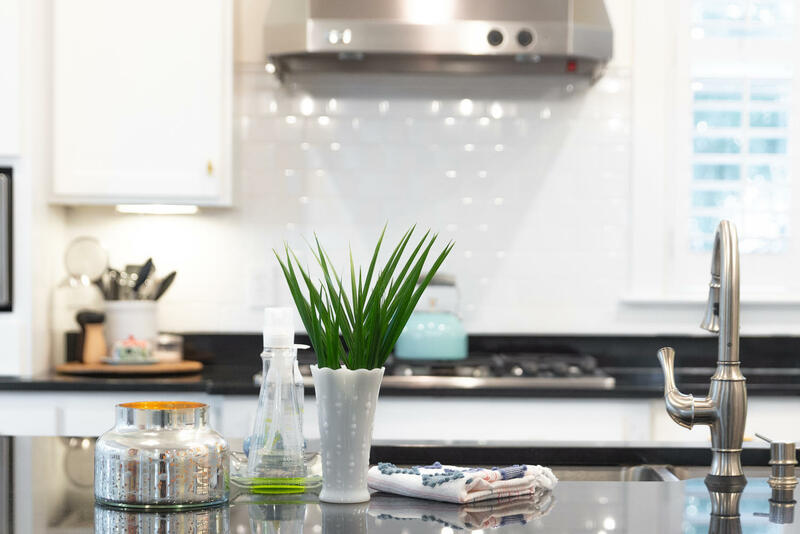 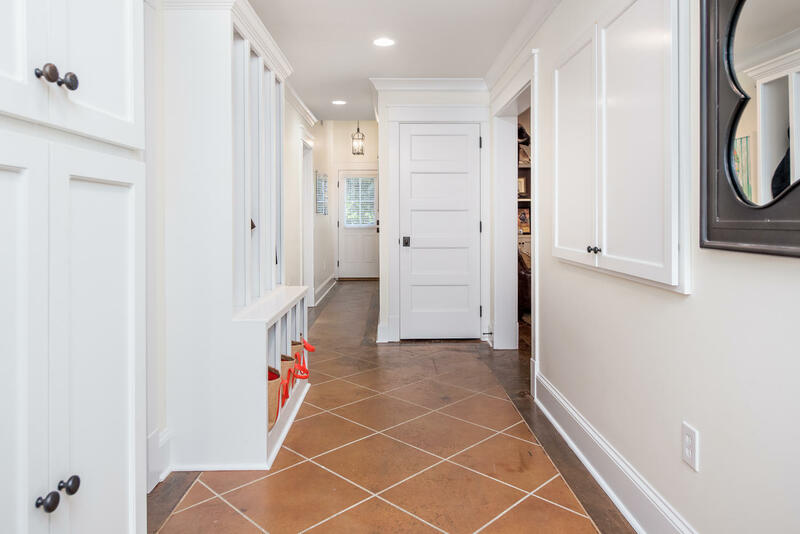 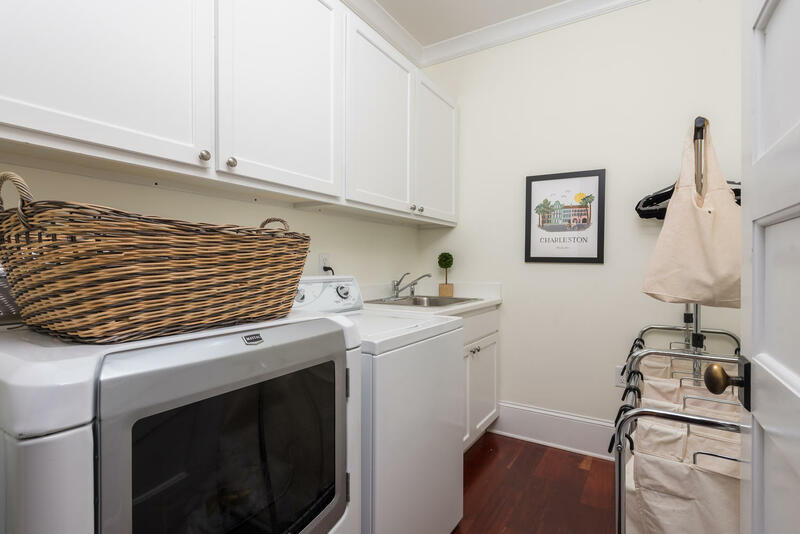 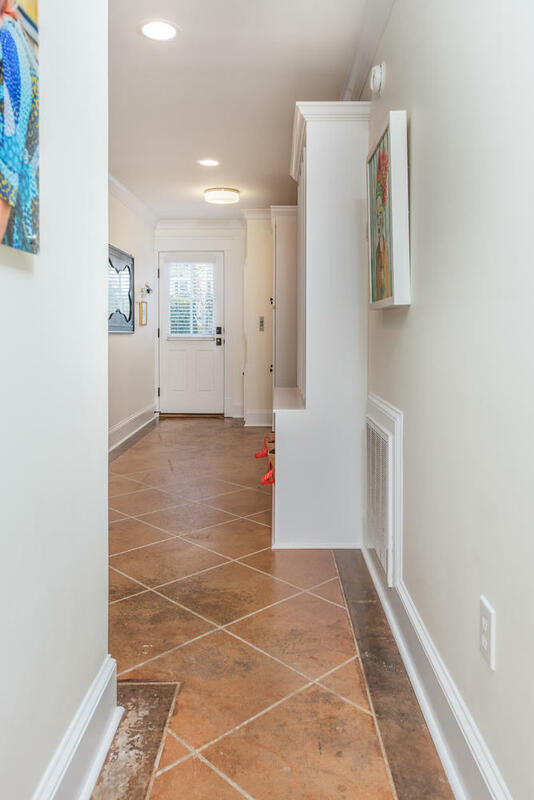 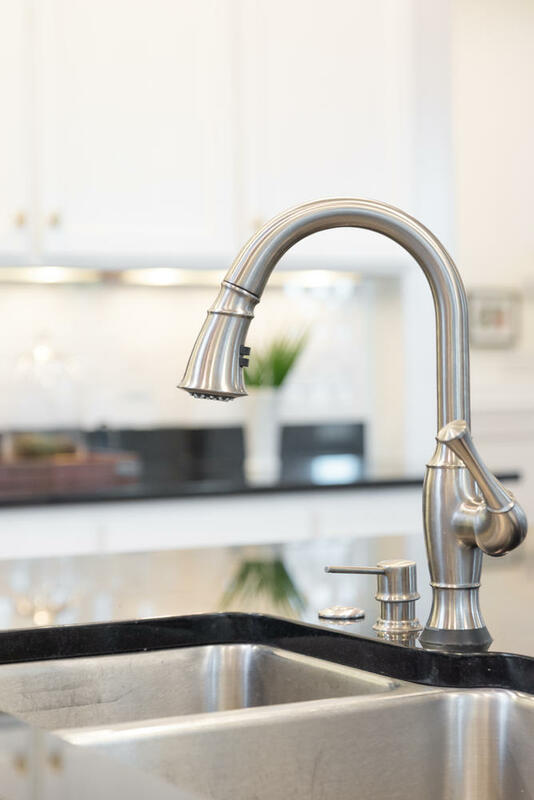 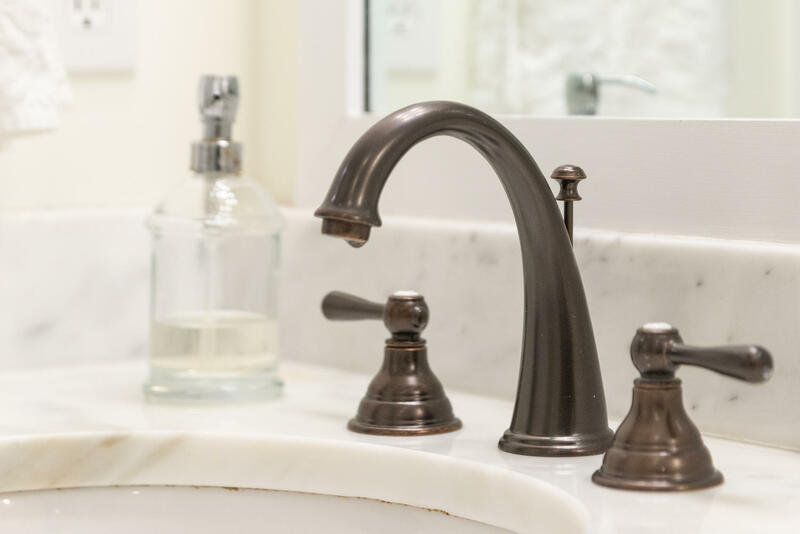 The first level features the two additional bedrooms and a Jack-N-Jill bath, two first-floor side door entries, and mudroom with built-ins with more storage. 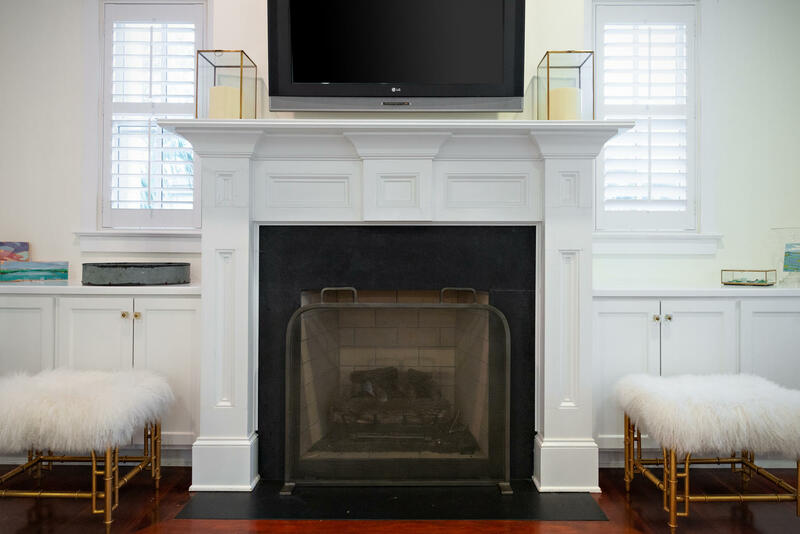 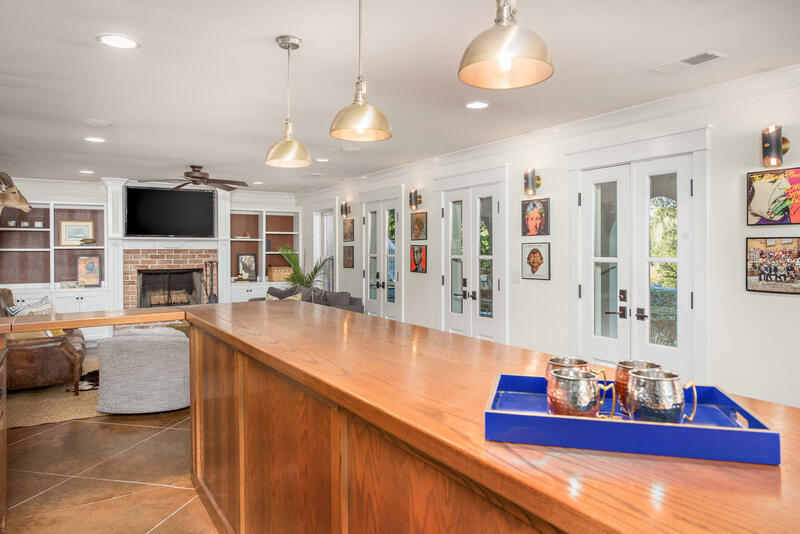 Off the side-entry hall is the media room with the second wood burning fireplace, built-ins and a custom bar with upper cabinetry. 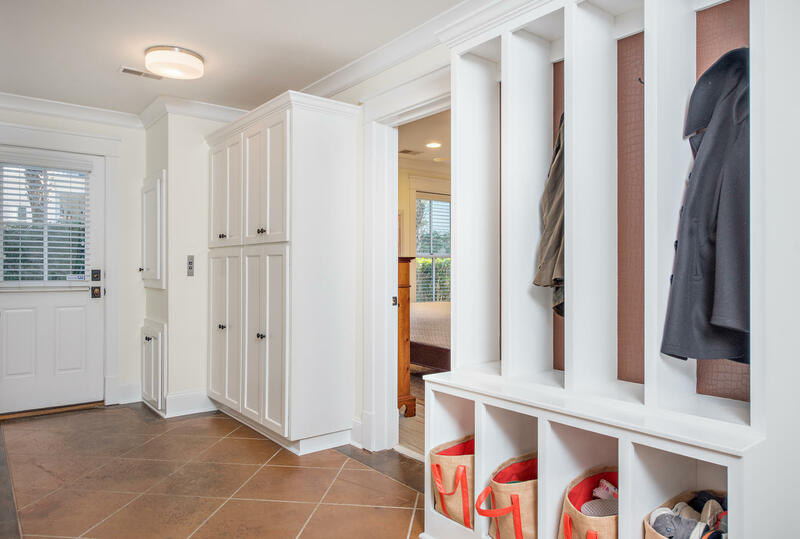 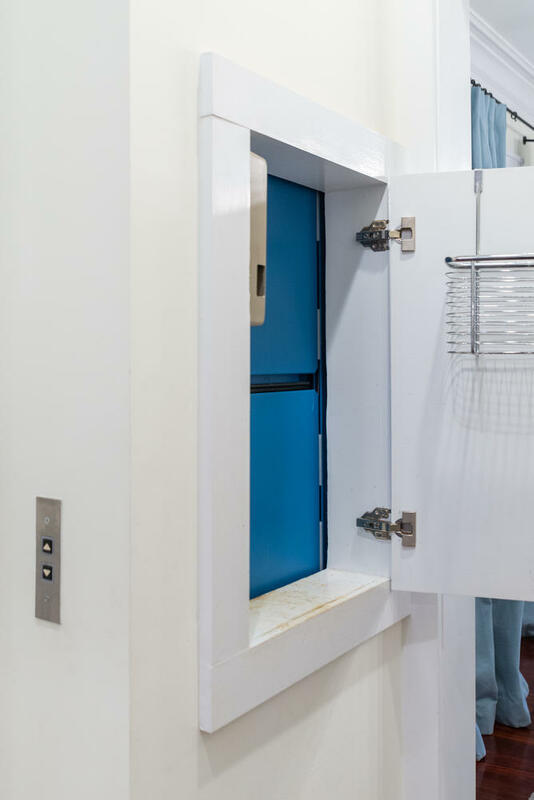 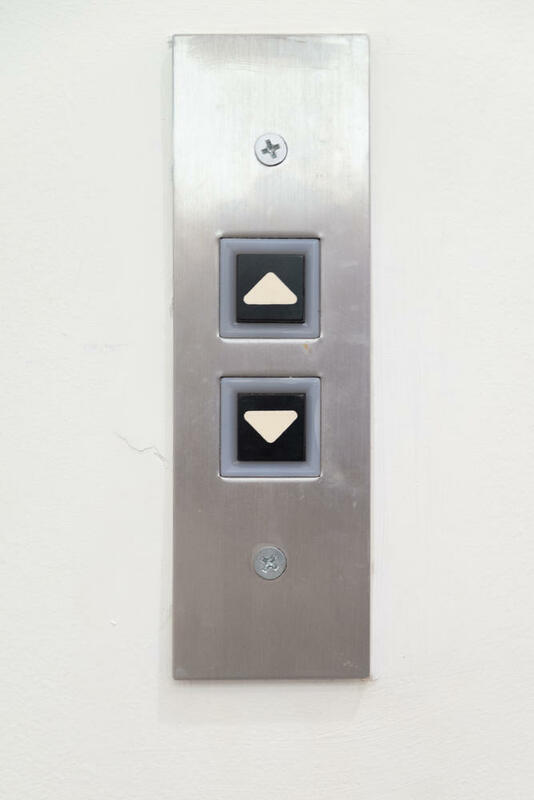 The first-floor level space could easily be made into an In-Law Suite as well. 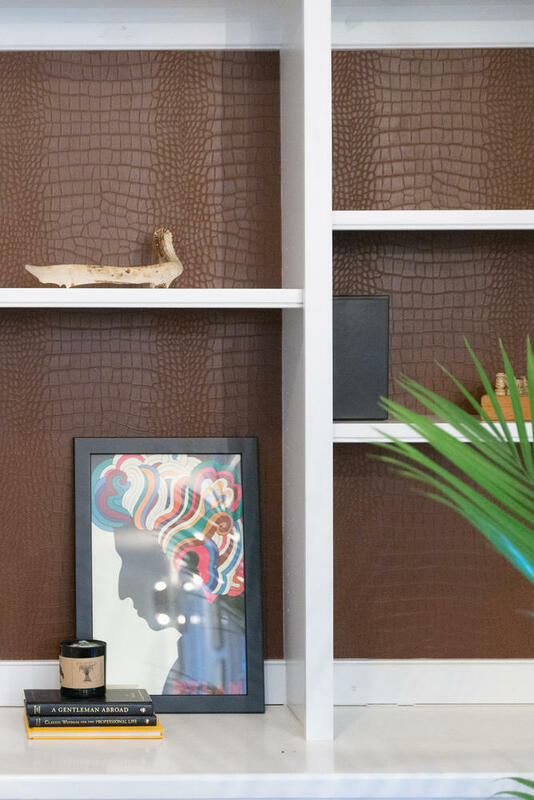 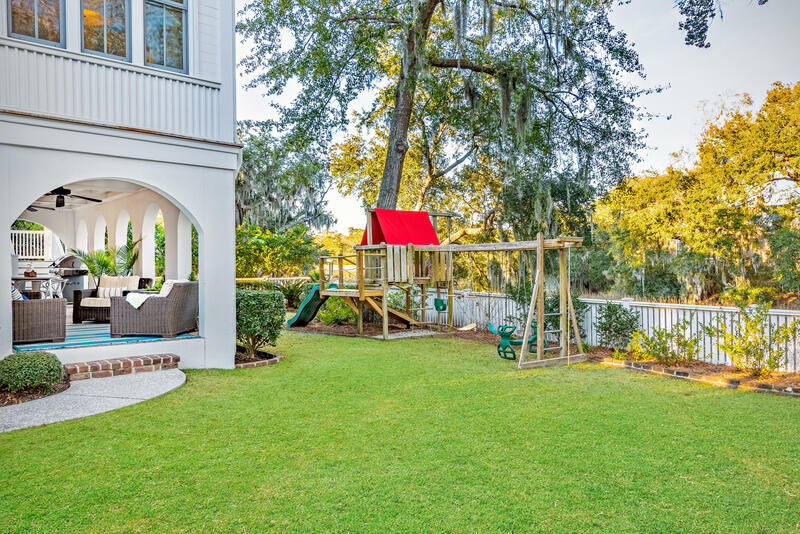 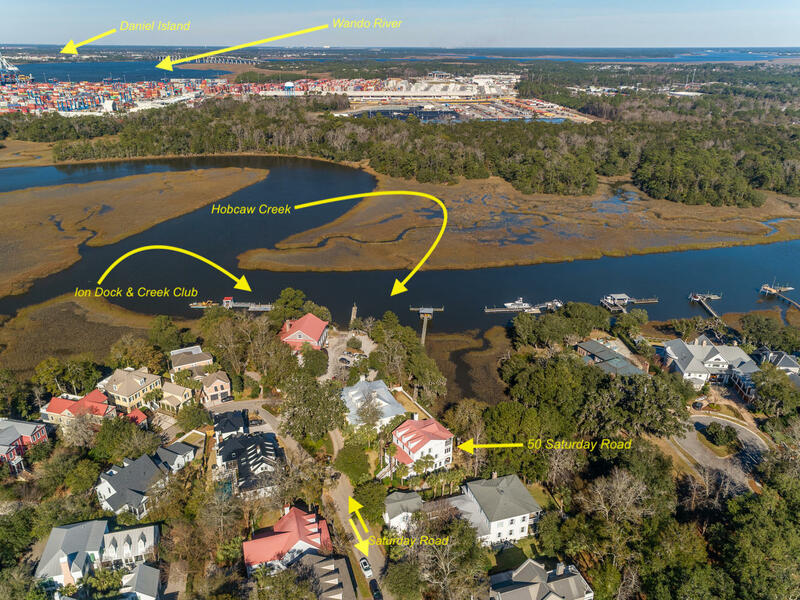 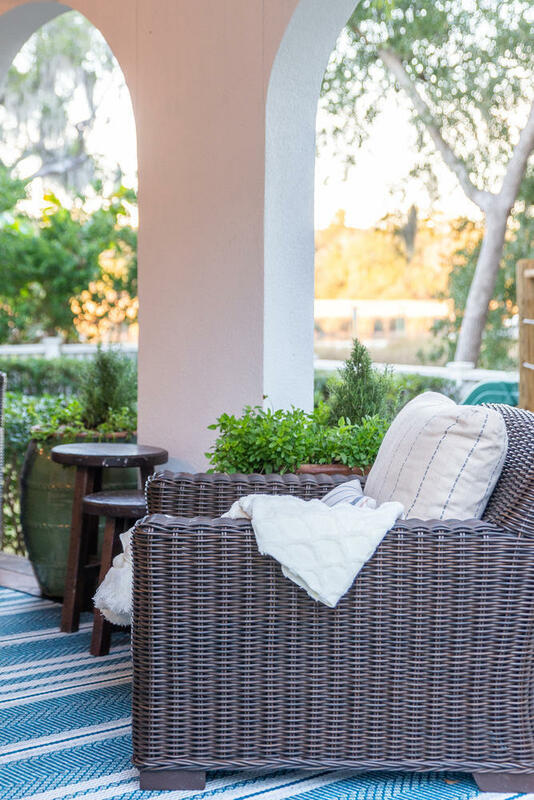 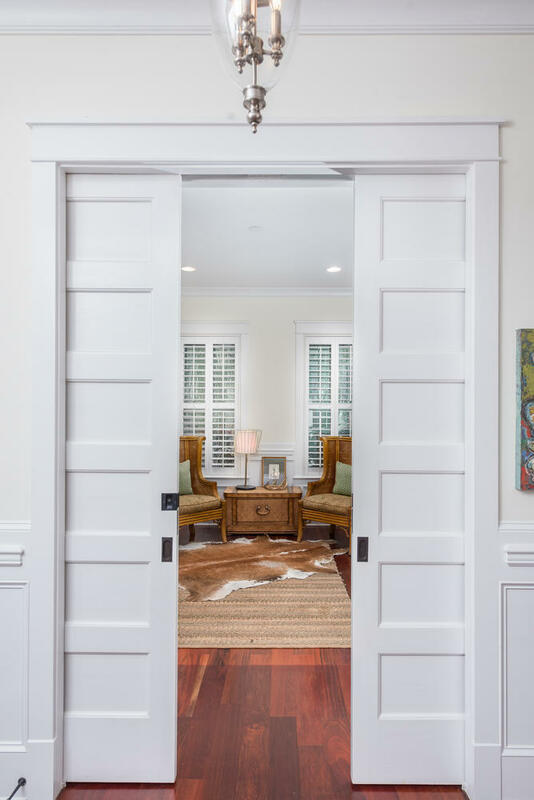 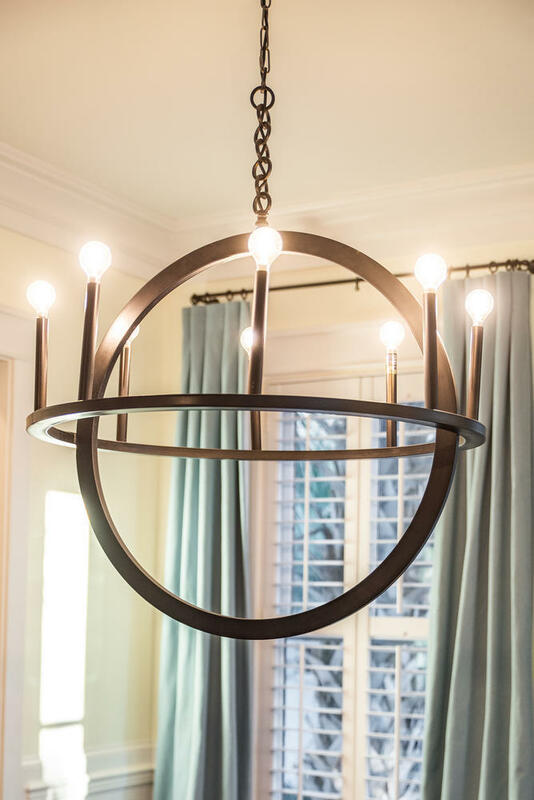 Off the media room is the first level piazza with four sets of French Doors that open onto the space continuing the flow the designer and homeowner artfully created for light, livability and to embrace the true luxury lifestyle of the Lowcountry. 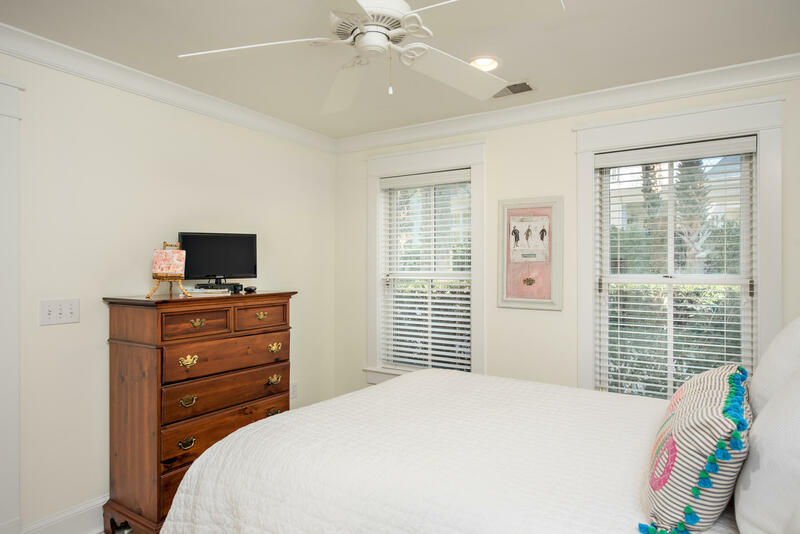 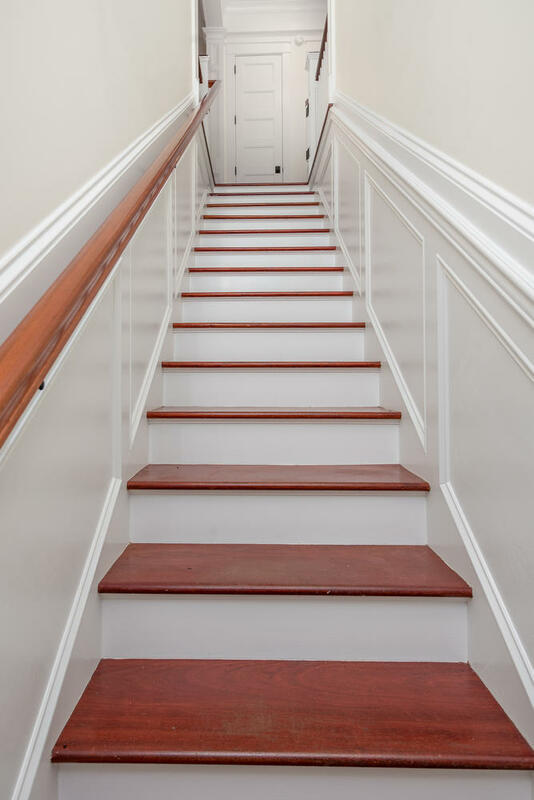 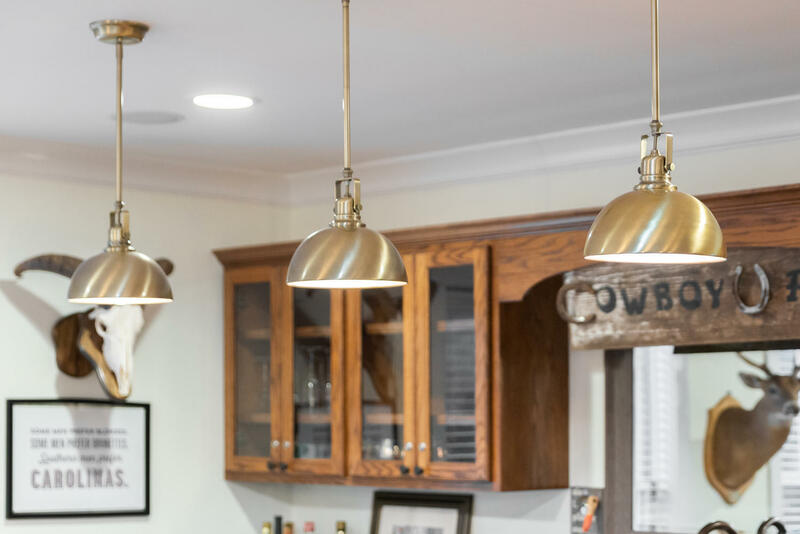 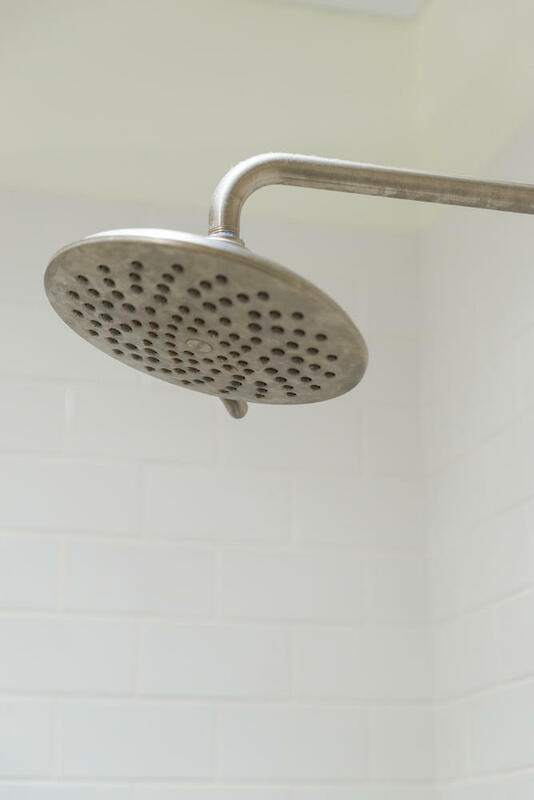 The homeowners recently replaced all three HVAC Units, installed a new water heater and sprayed closed cell insulation in the attic to maximize the energy efficiency of the home. 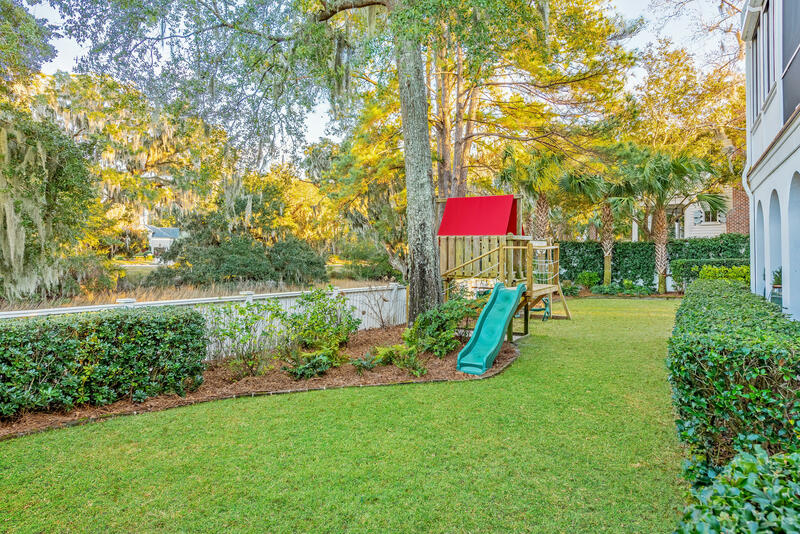 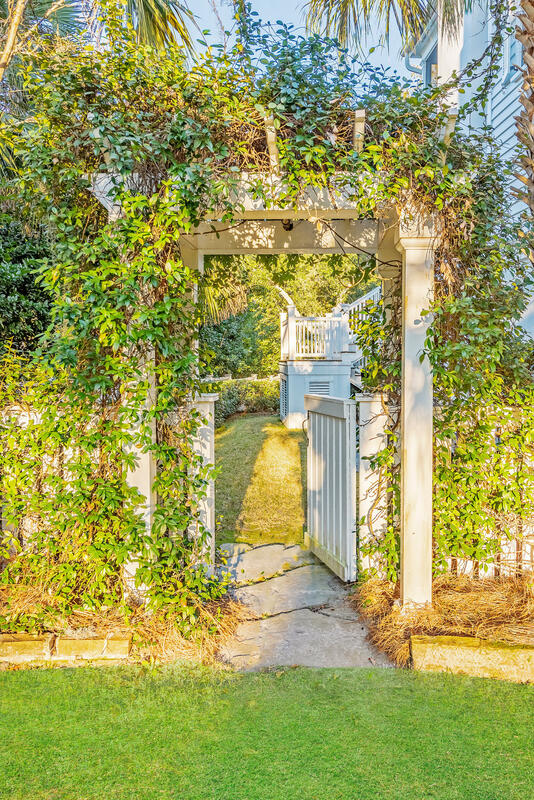 The grounds of this home were designed by a local Master Gardener with various plant species and is meticulously maintained. 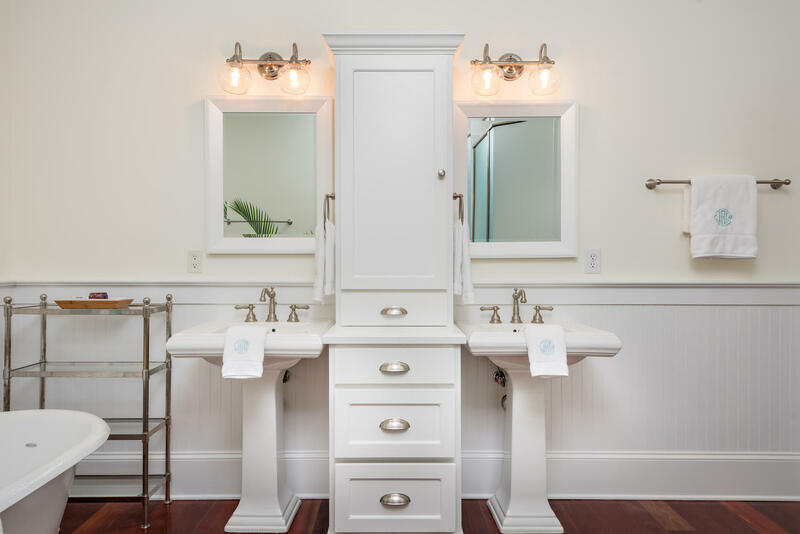 Built by RH Builders/Construction. 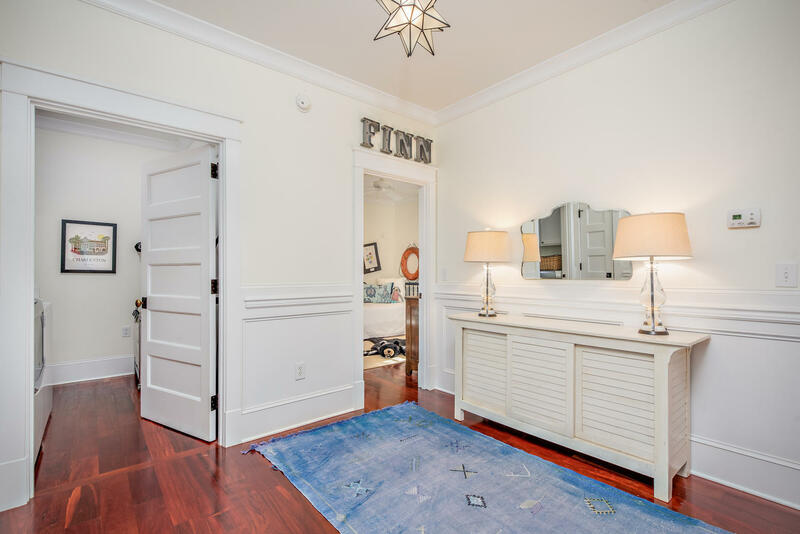 Call today for more information or to schedule your personal tour.